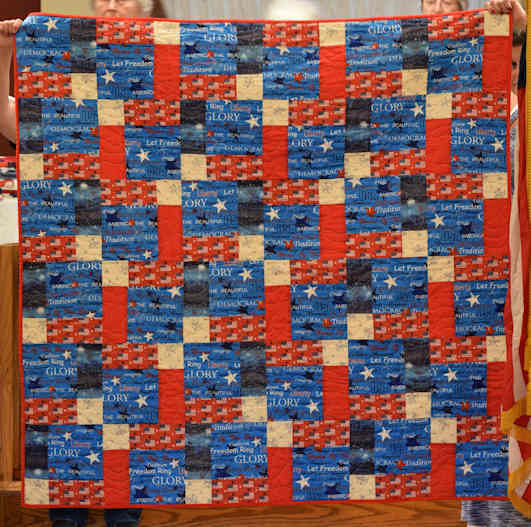 served during war time, whether state-side or overseas and must currently reside in Miami County, Kansas. 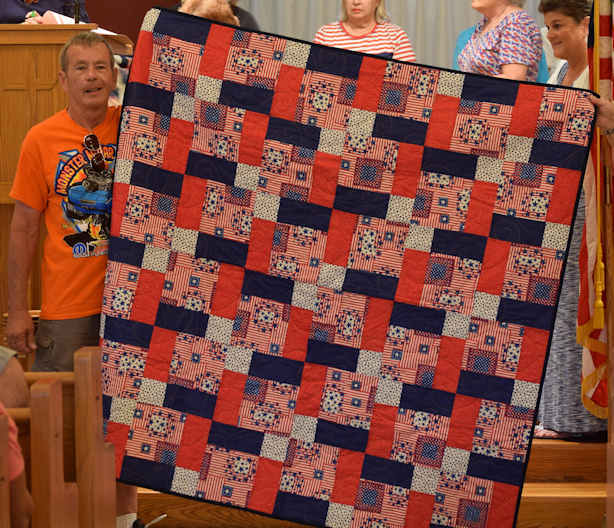 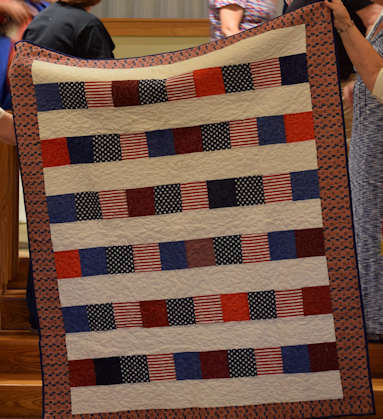 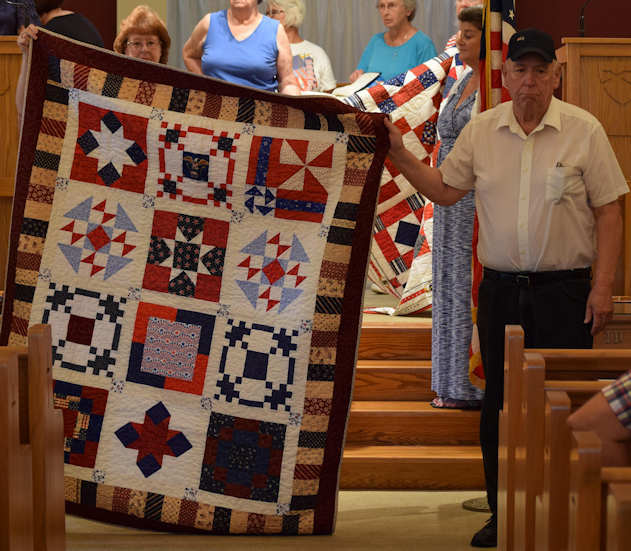 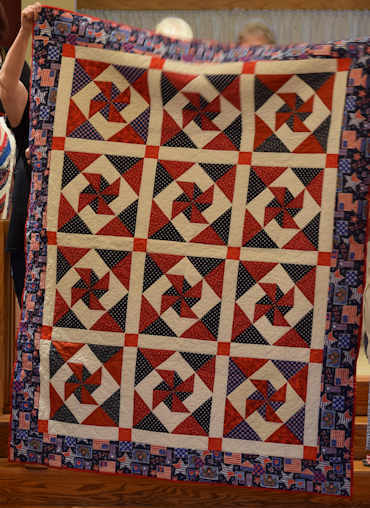 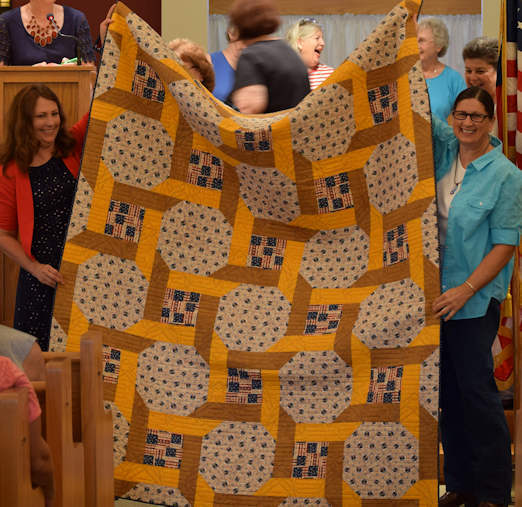 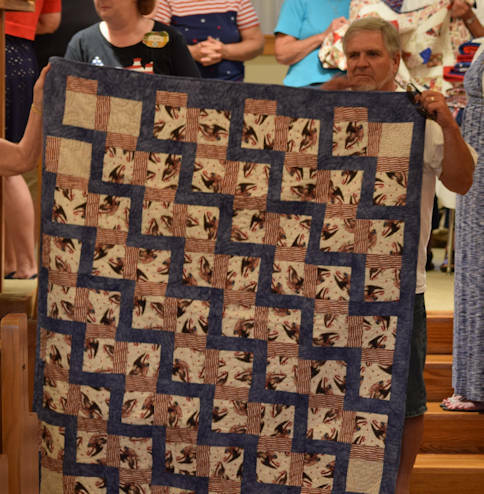 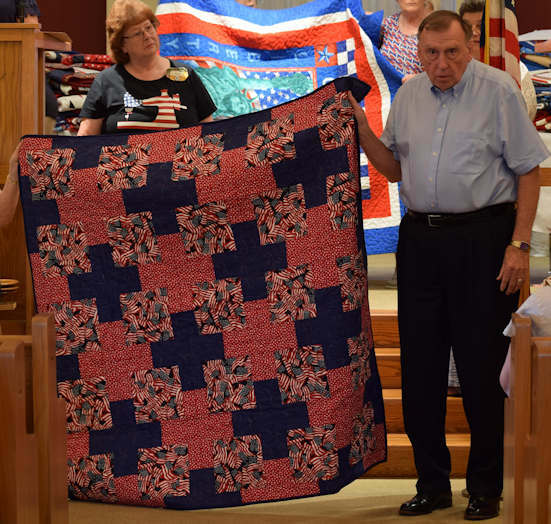 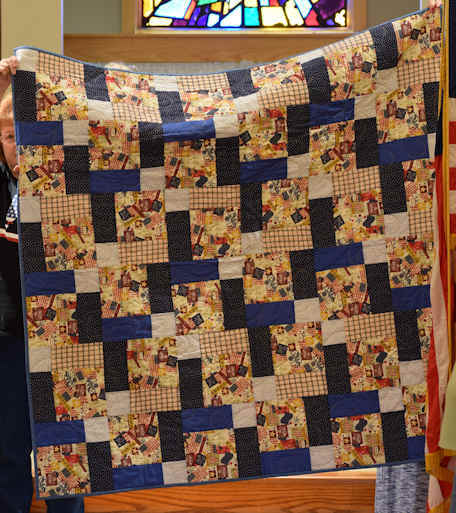 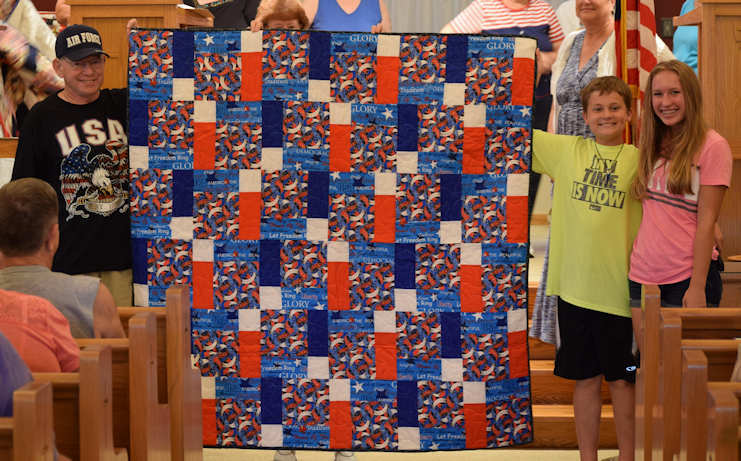 Exception: Family members of MCQG members who served and lived outside of Miami County may receive a quilt - the member is responsible for delivery. 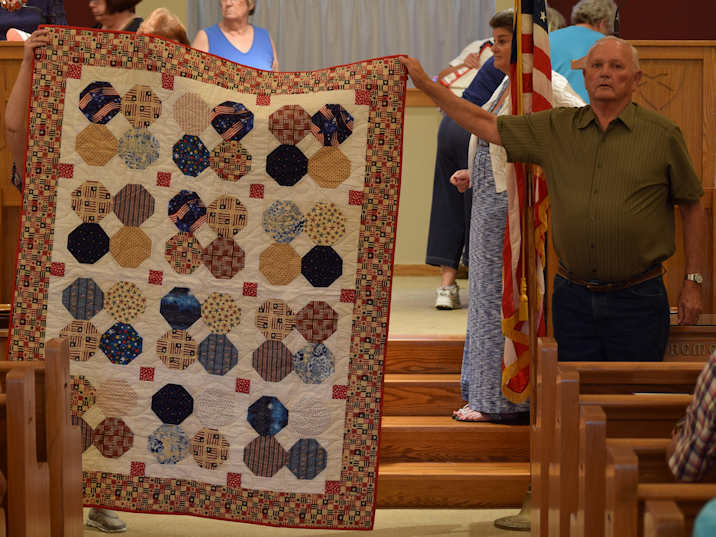 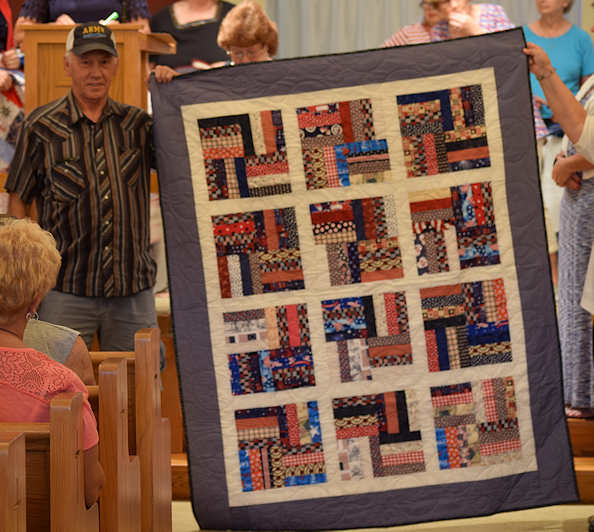 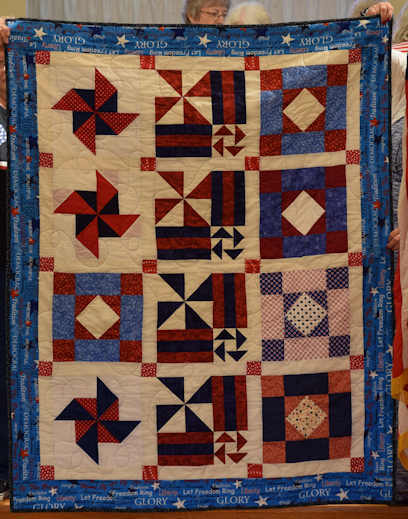 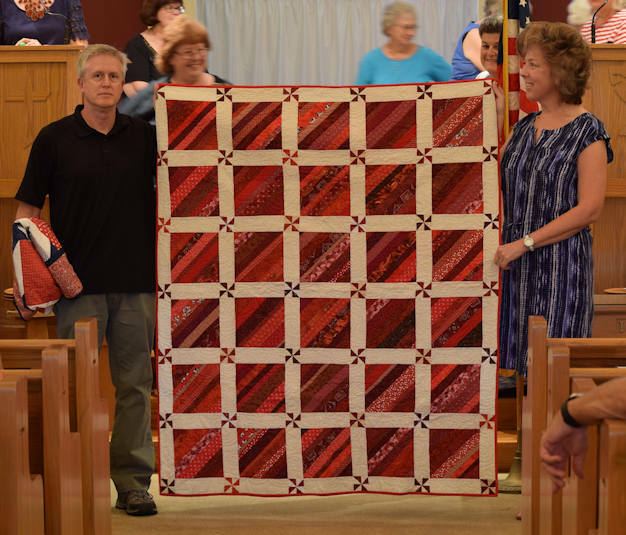 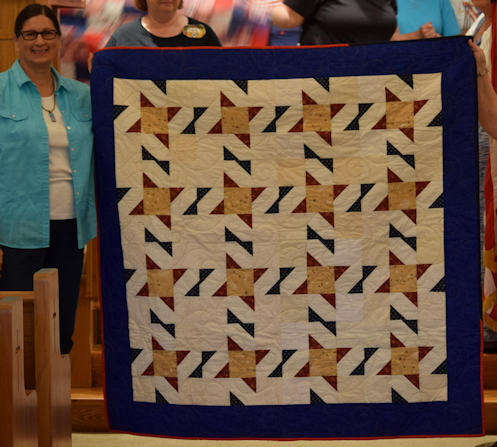 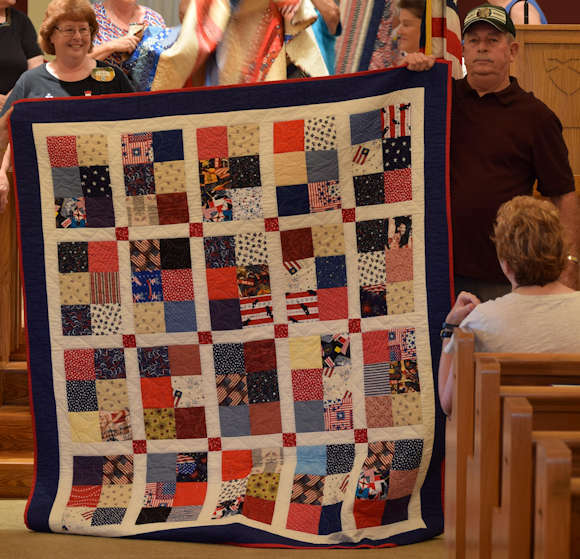 Quilts will be given in the order of wars starting with WWII, Korean, Vietnam, Desert Shield, Desert Storm, Iraq & Afghanistan. 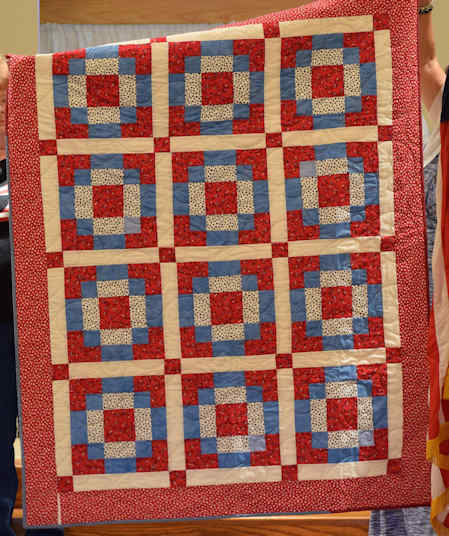 The exception is a veteran that served in a more recent war but has a health situation - they will receive a quilt sooner. 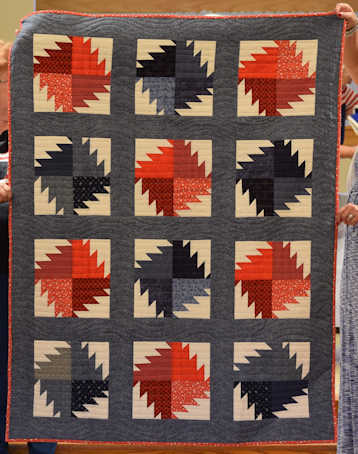 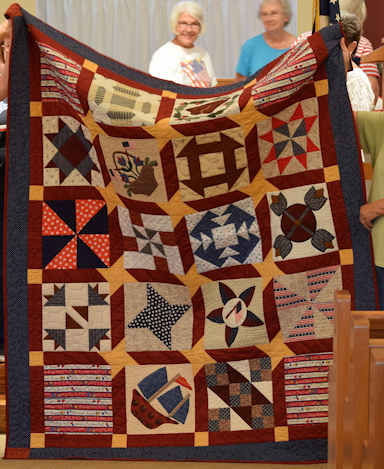 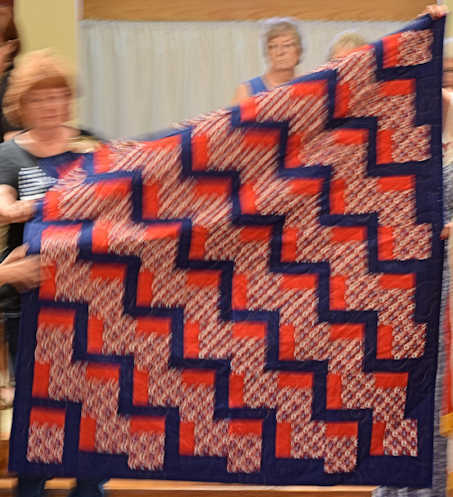 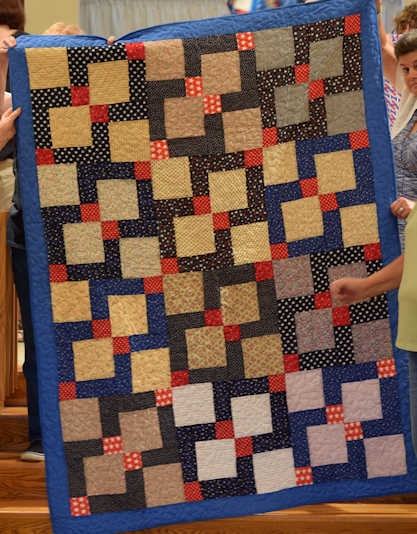 Quilts should be no smaller than 60 inches or larger than 75 inches. 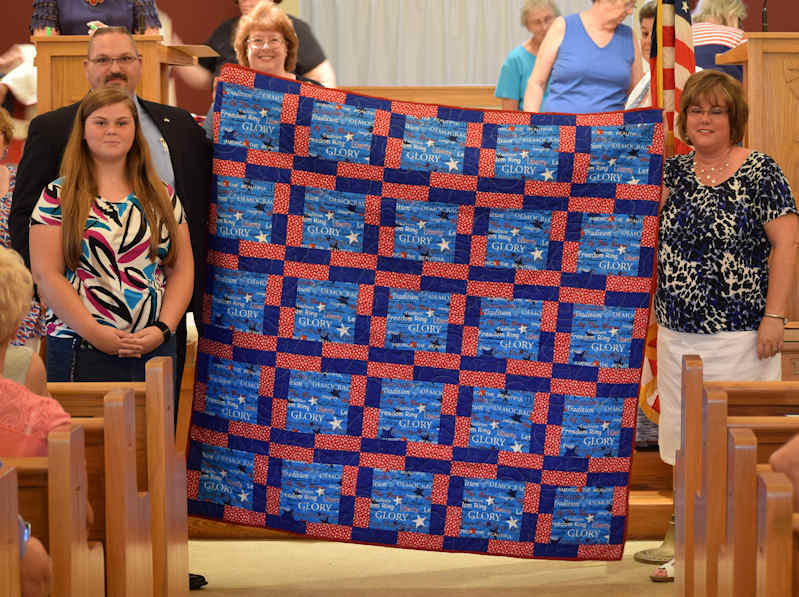 We are not trying to give "bed-size" quilts but more memorable throws or wall hangings. 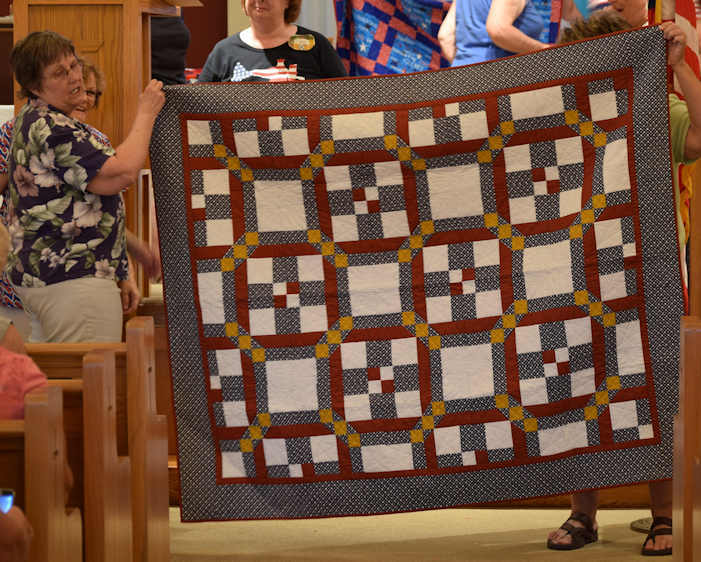 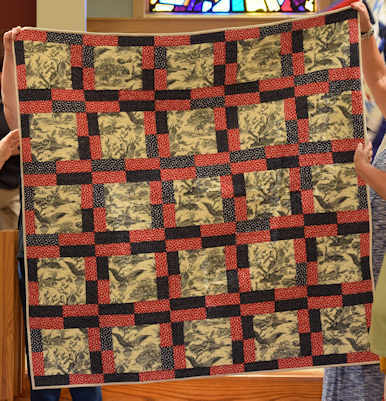 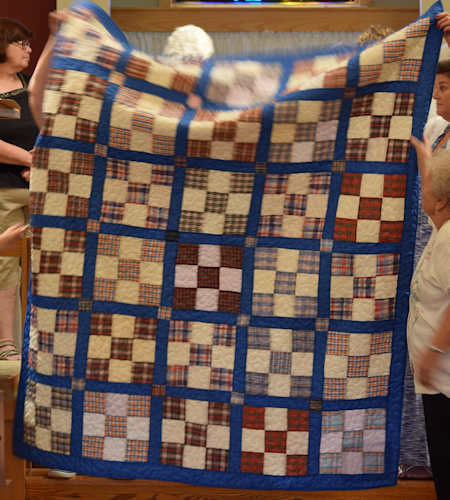 We have wrapped, and to date the Guild has made and presented over 600 Quilts of Appreciation. 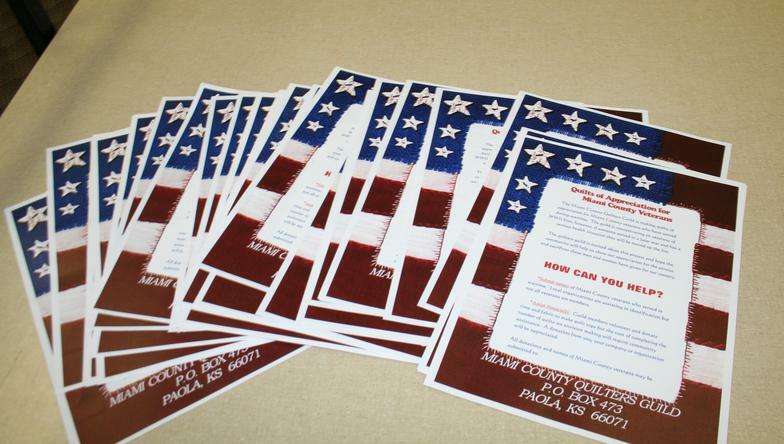 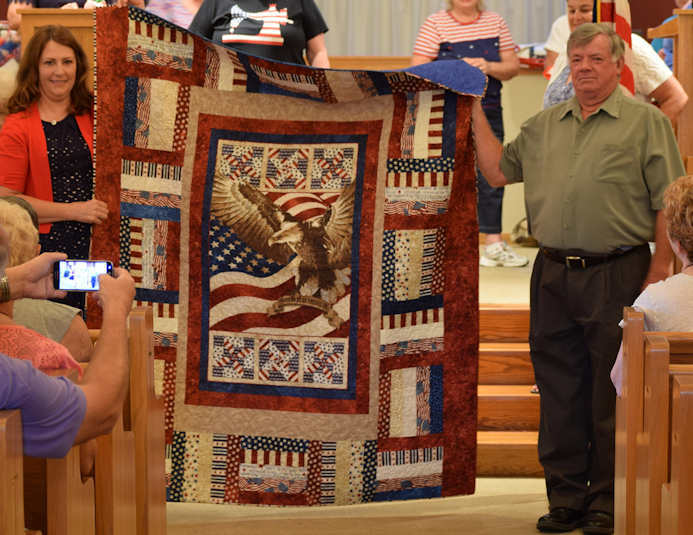 We were honored to be able to show our appreciation to so many deserving veterans. 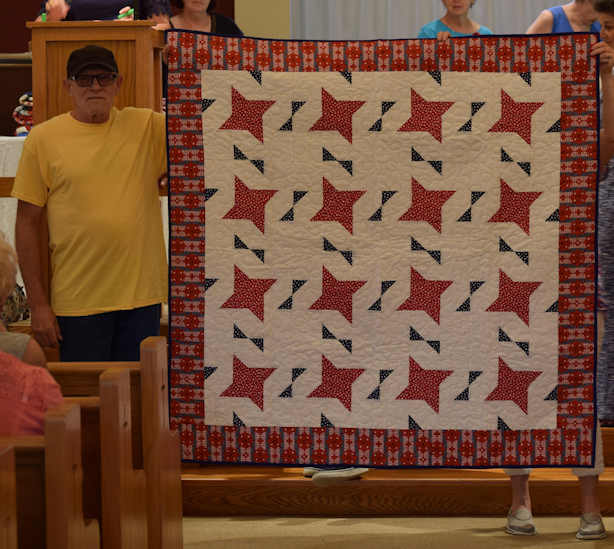 This effort was made possible by so many, and thanks to all that donated sewing, material, time, phone calls, monetary donations, and everything that went into making this project a success. 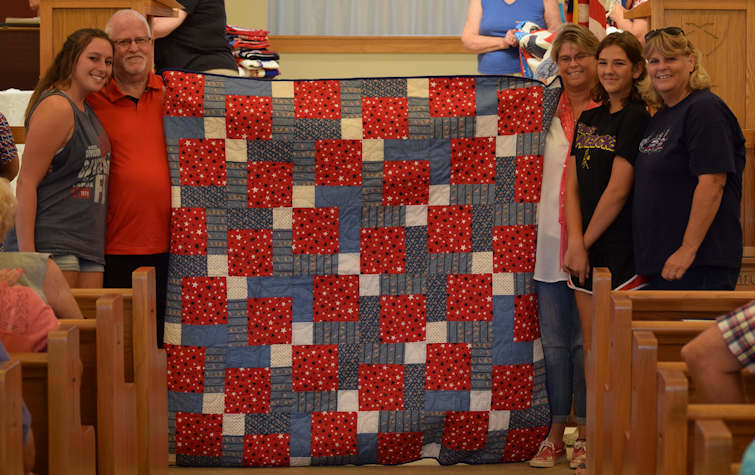 Special thanks goes to Joyce Geiger for heading up this project and keeping everyone on track. 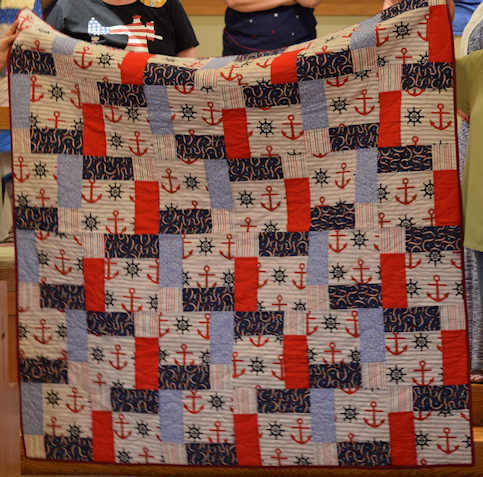 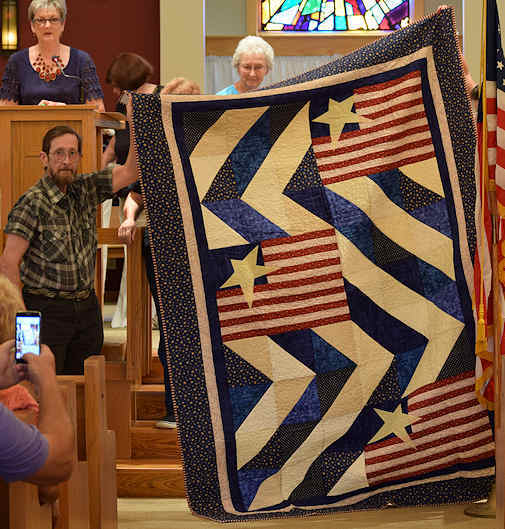 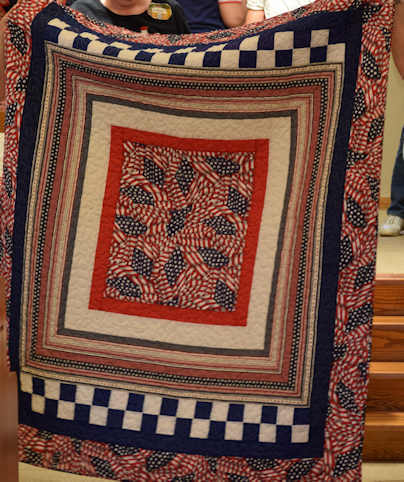 We have committed to make Veteran's Quilts for the Tiny Houses Veteran's Project in Kansas City. 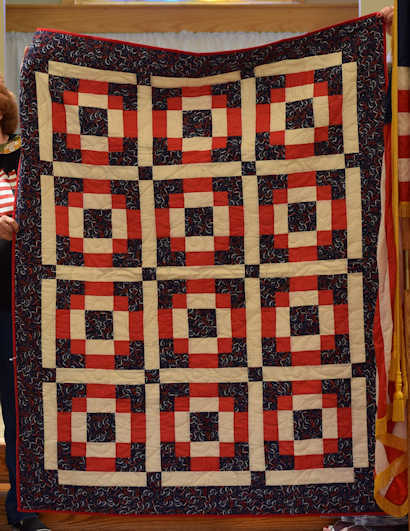 This project provides tiny houses free of charge to homeless Veterans. 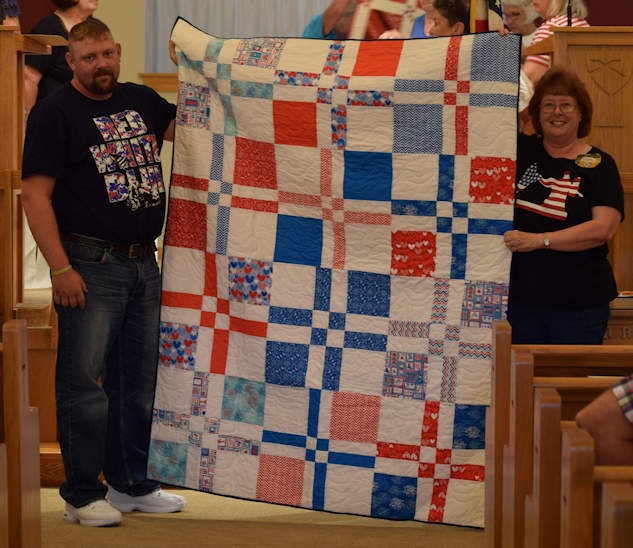 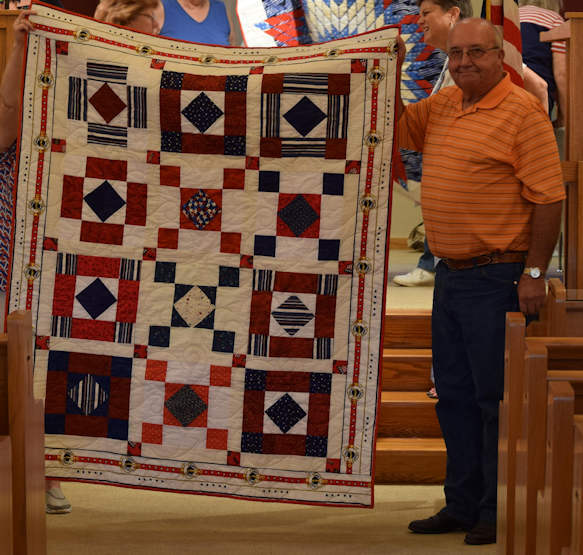 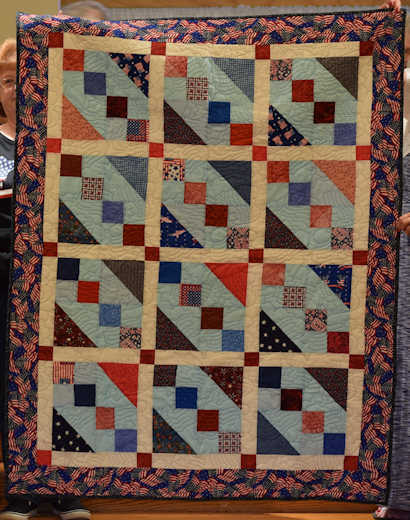 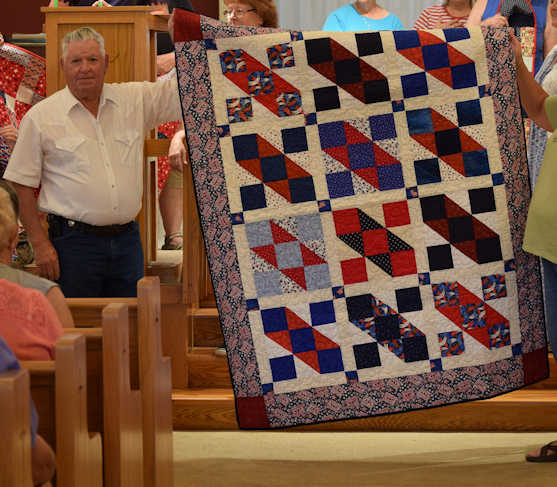 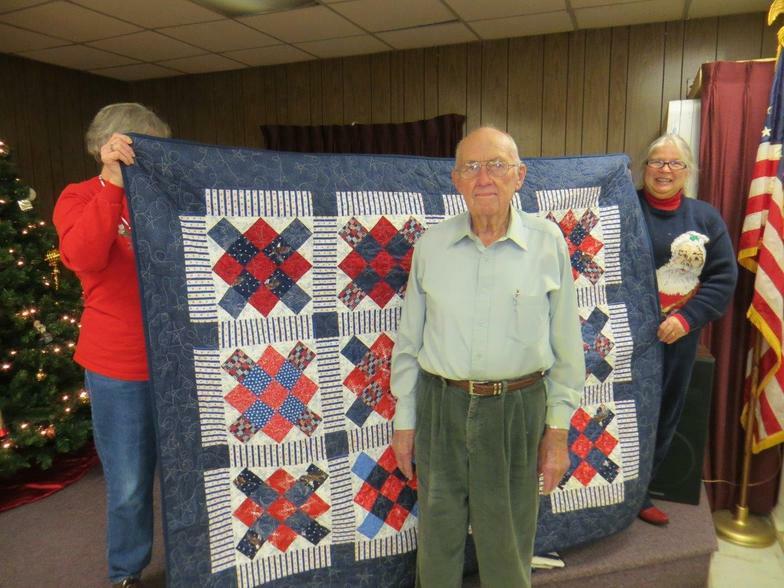 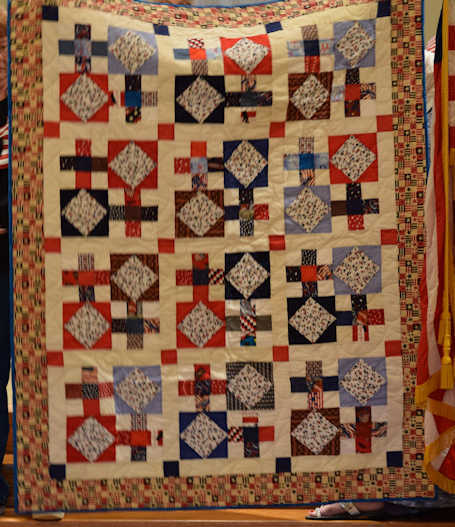 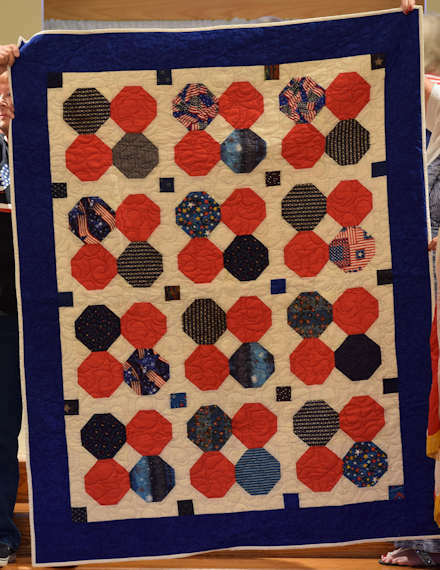 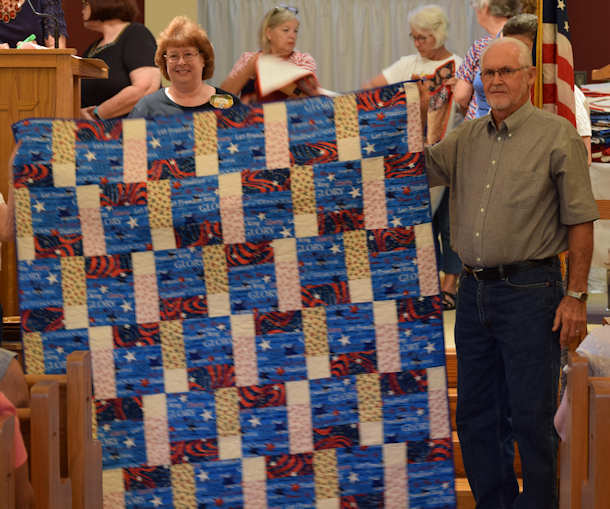 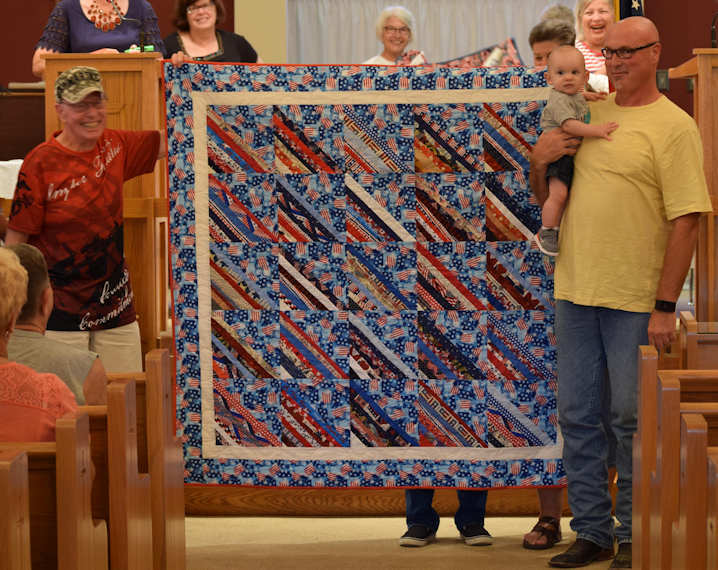 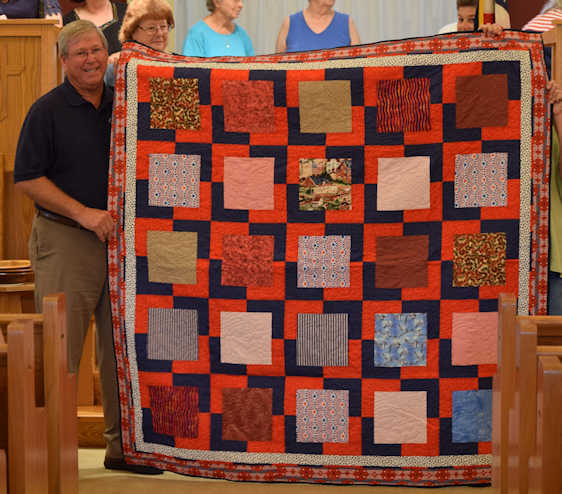 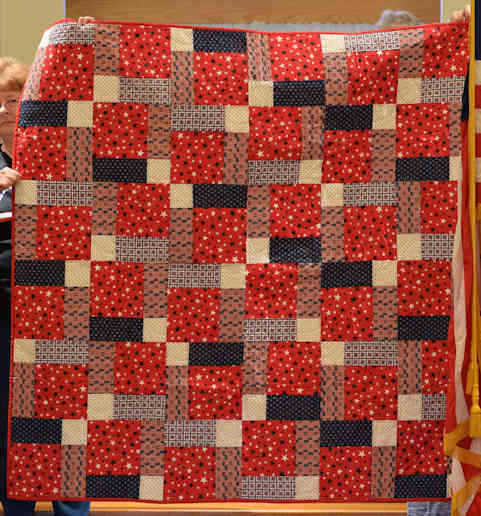 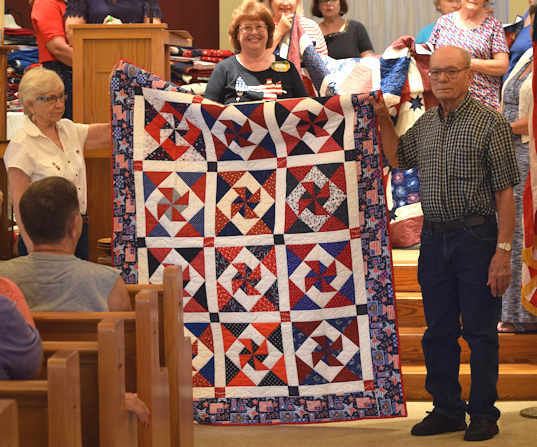 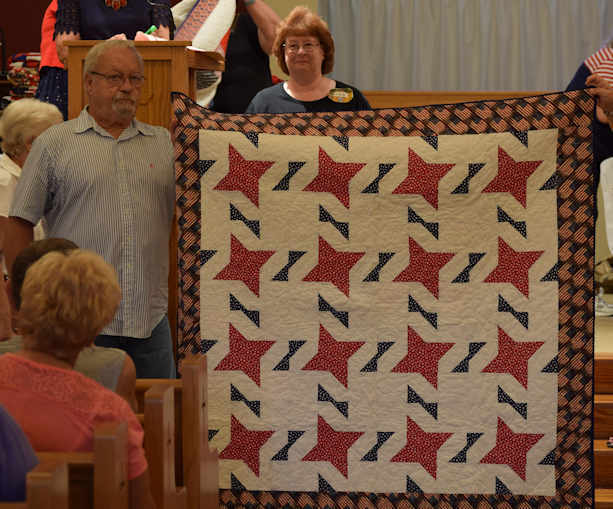 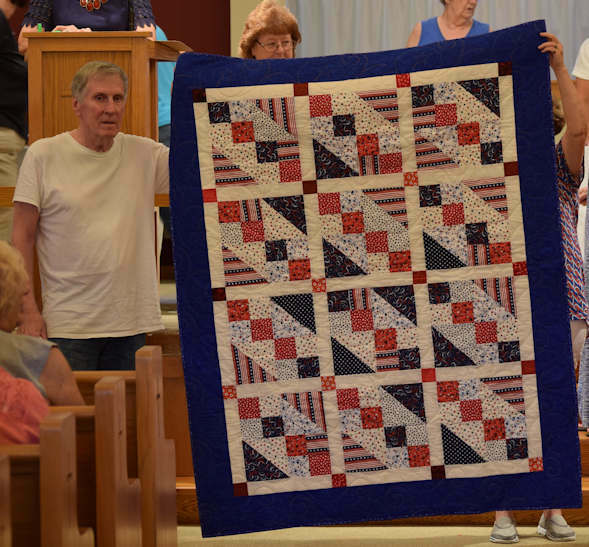 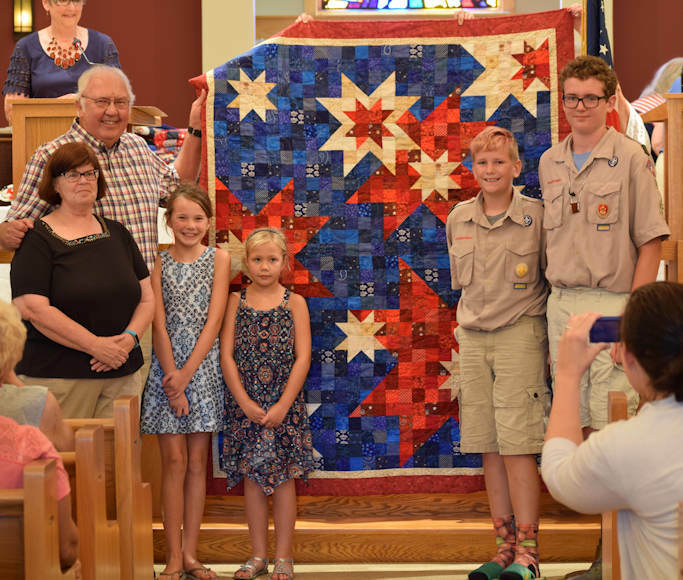 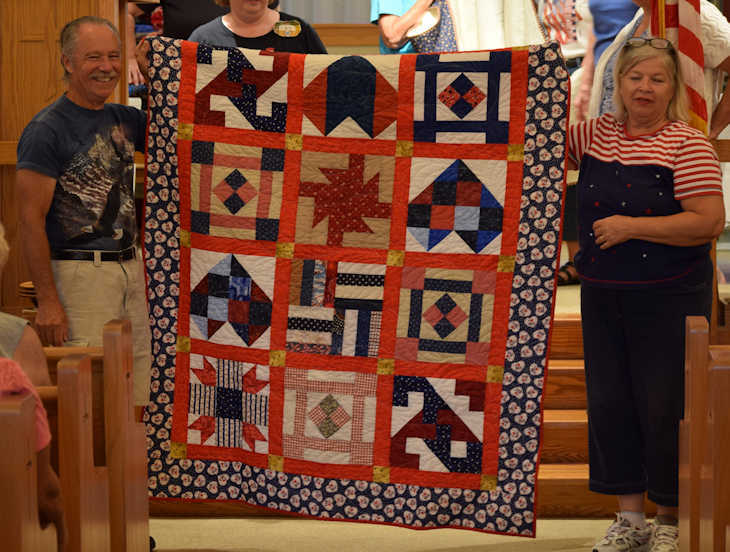 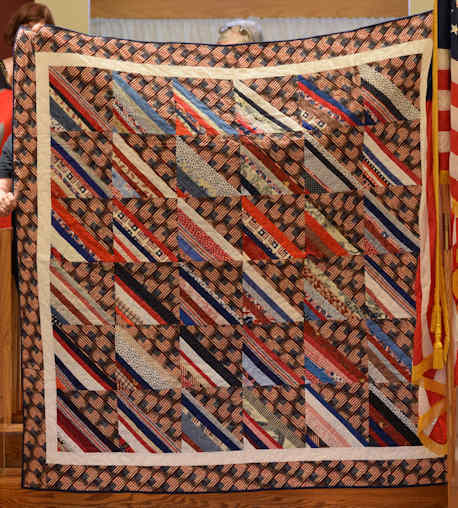 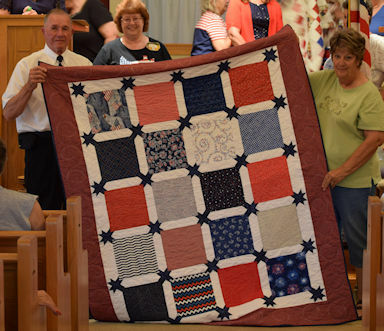 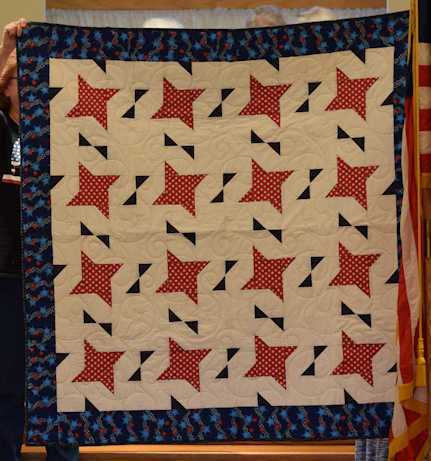 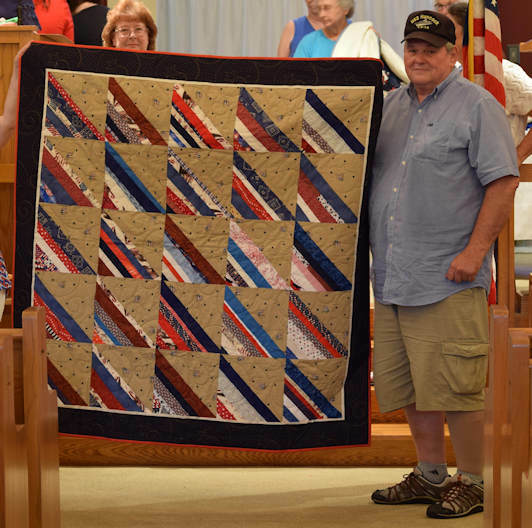 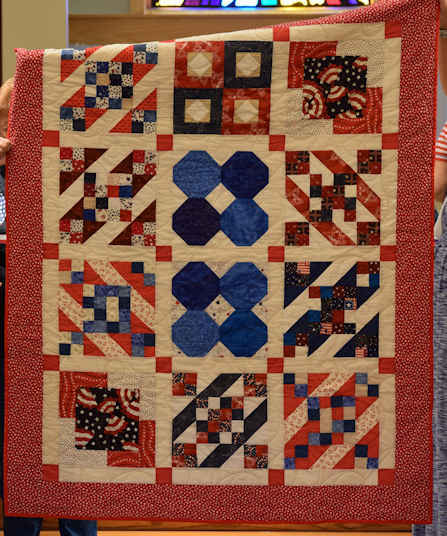 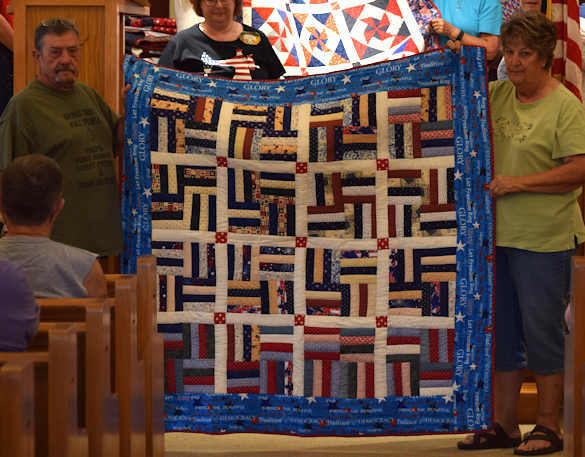 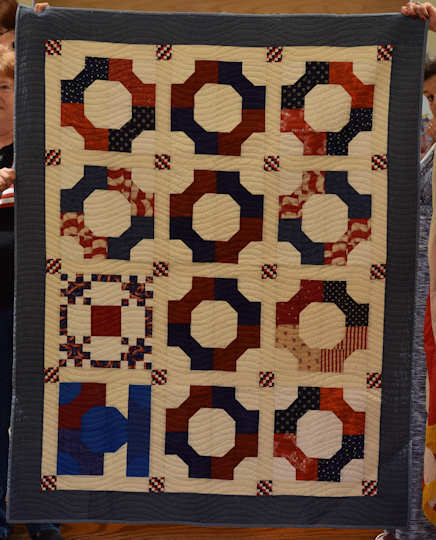 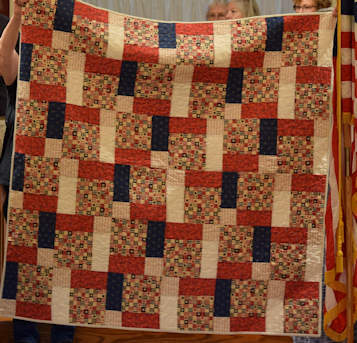 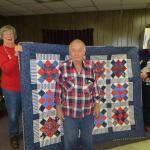 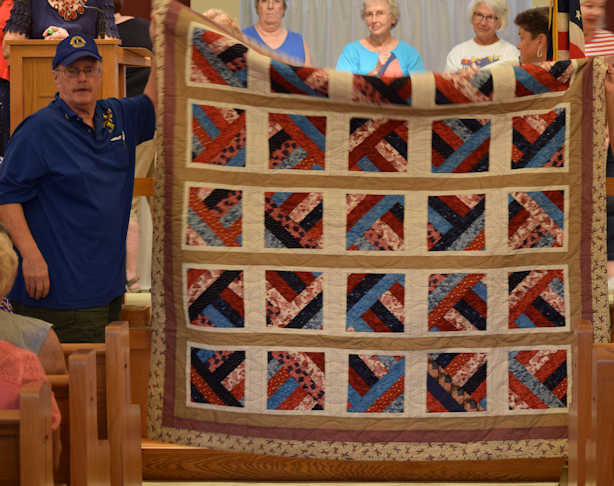 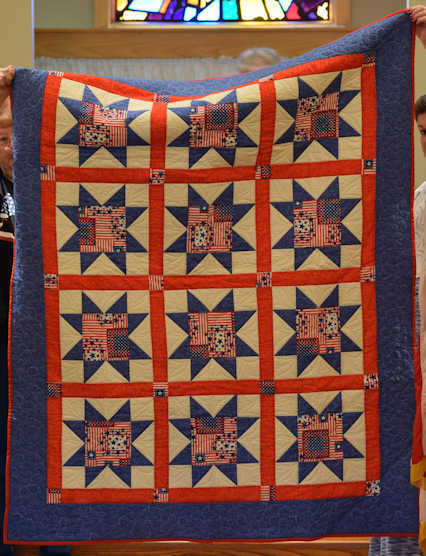 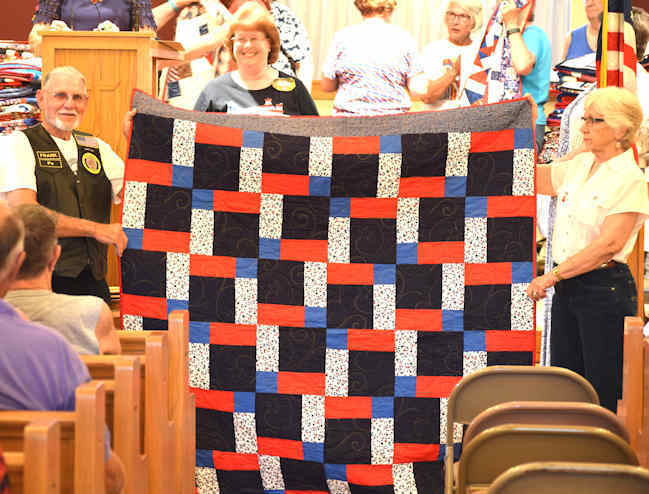 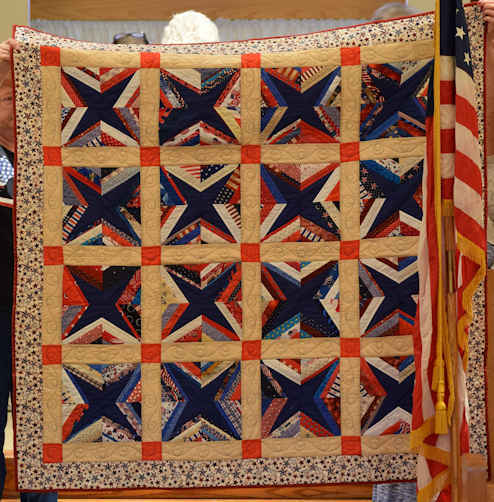 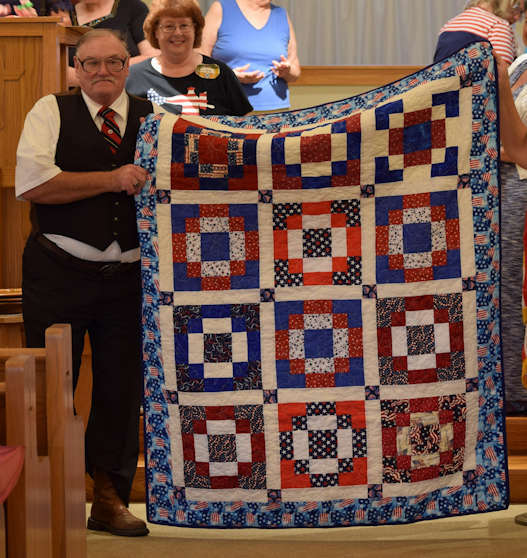 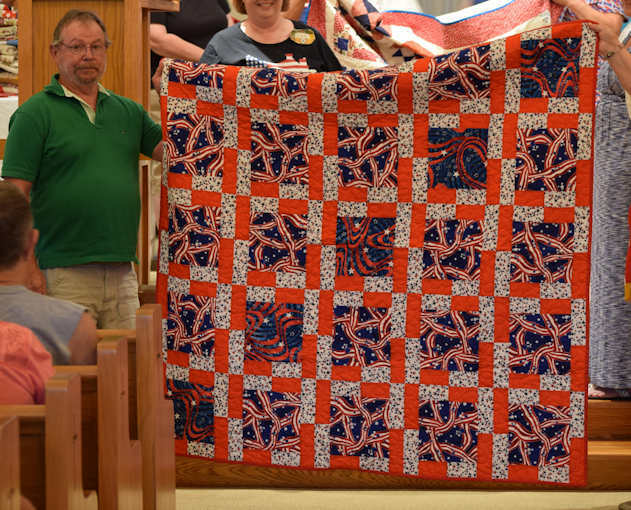 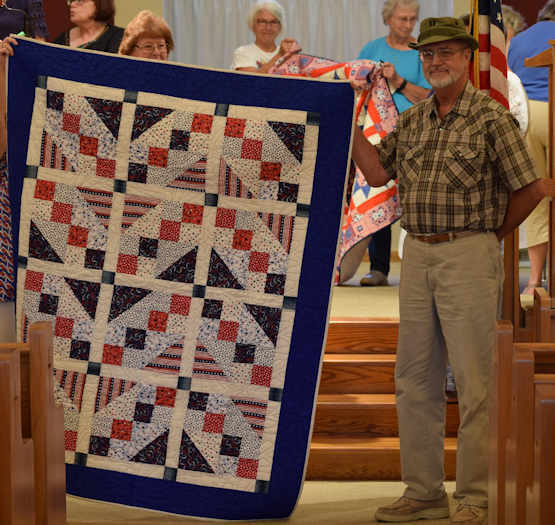 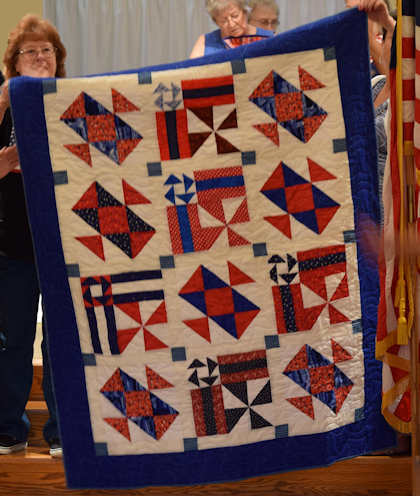 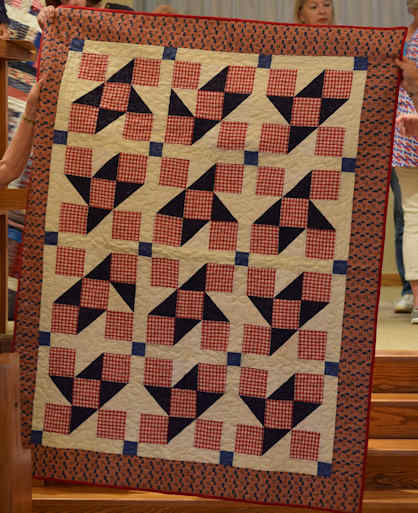 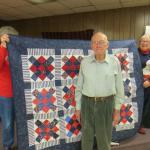 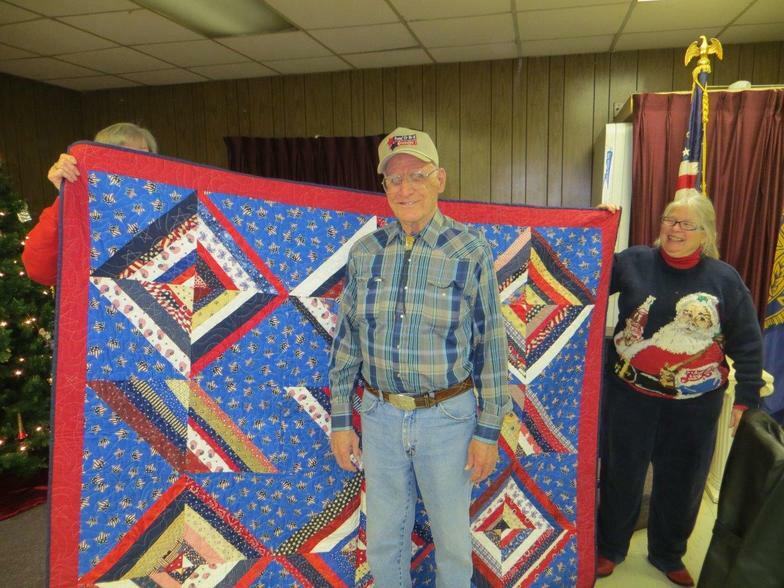 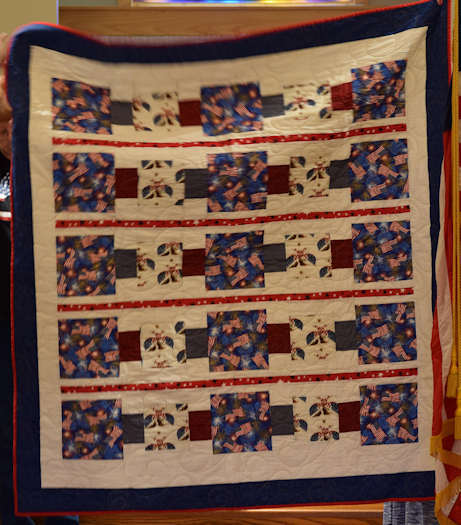 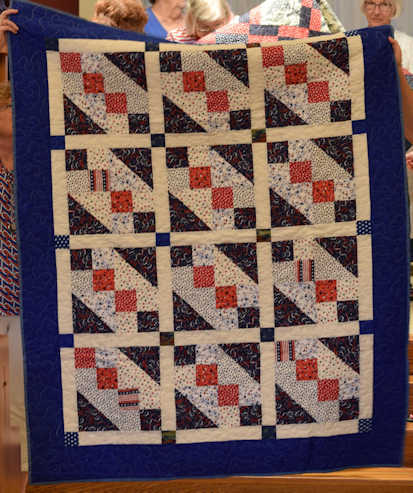 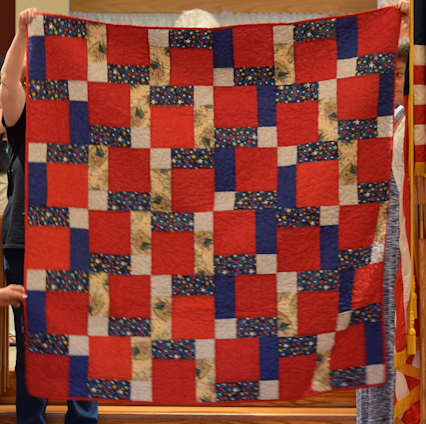 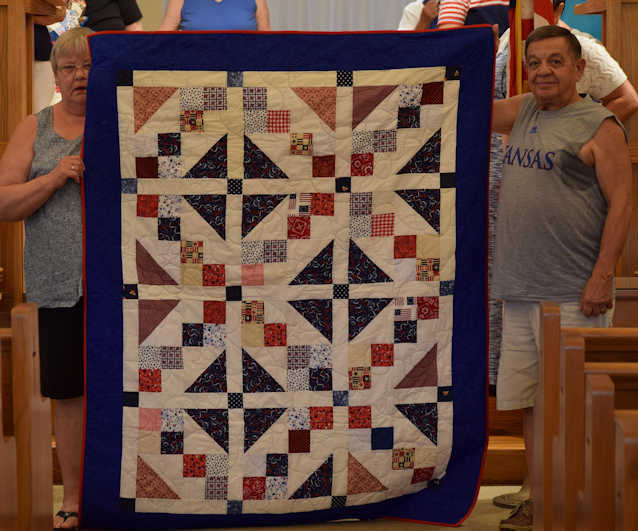 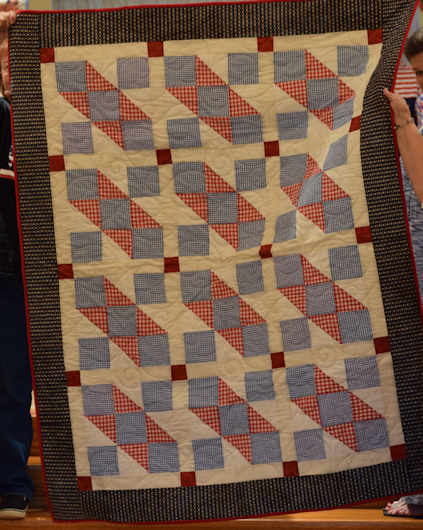 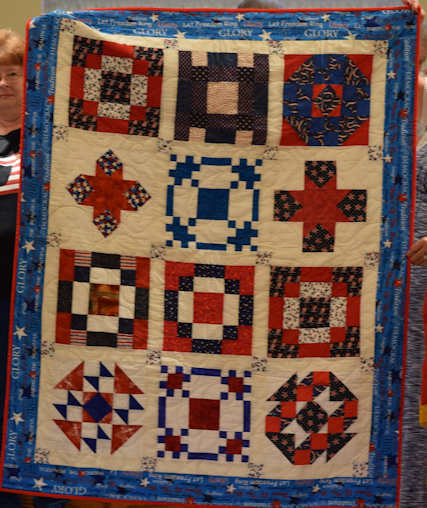 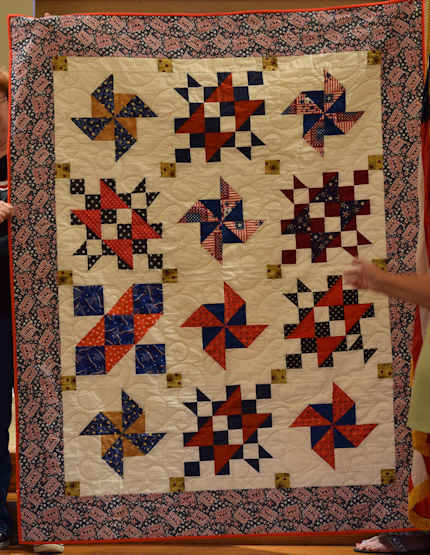 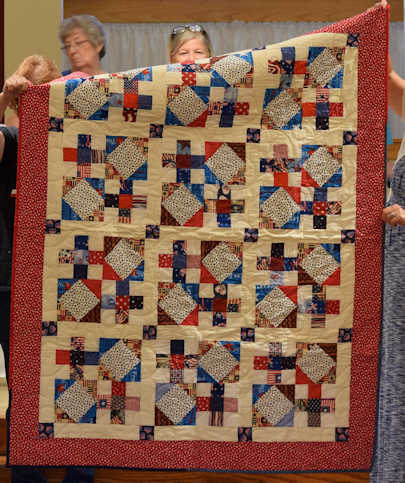 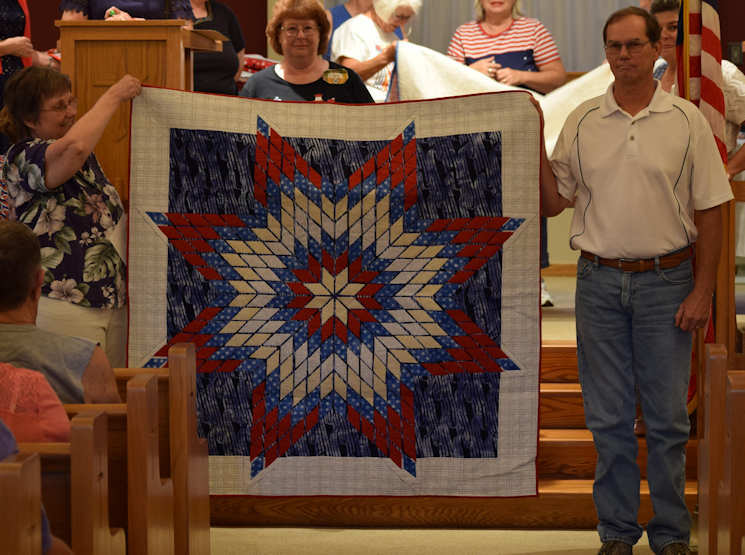 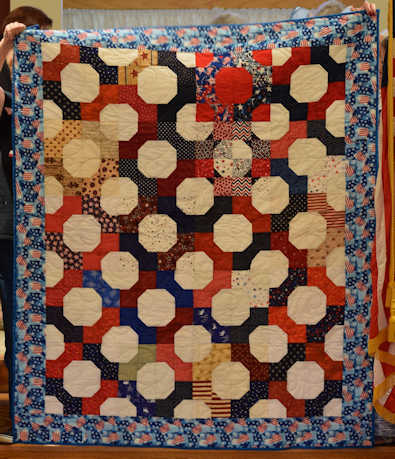 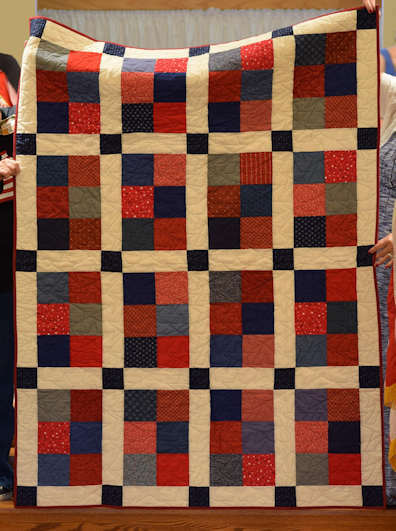 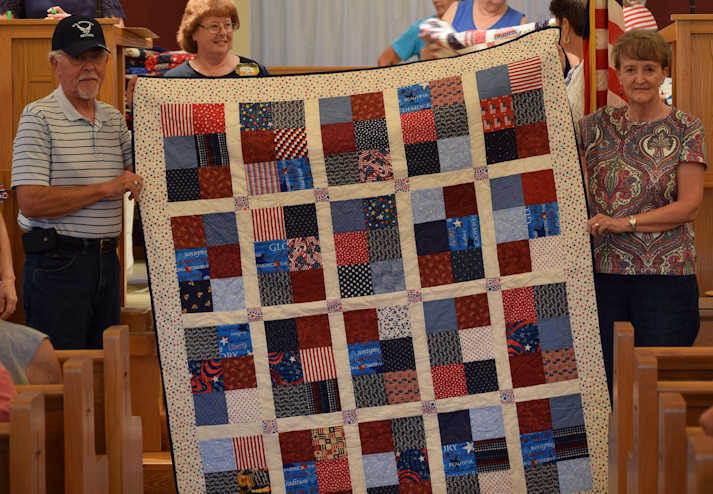 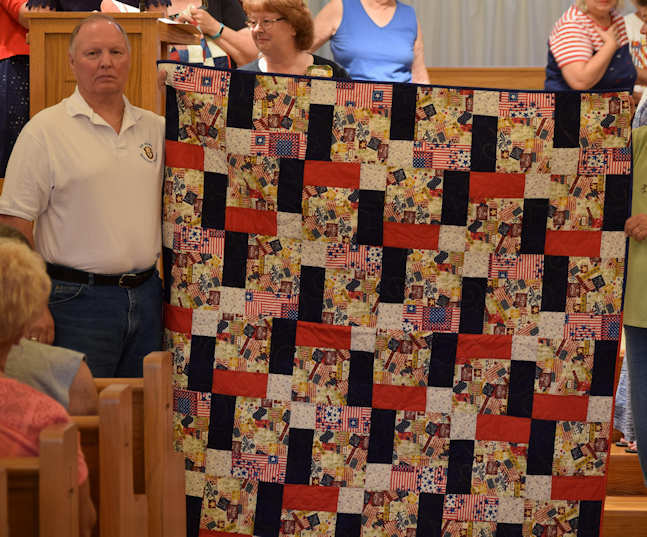 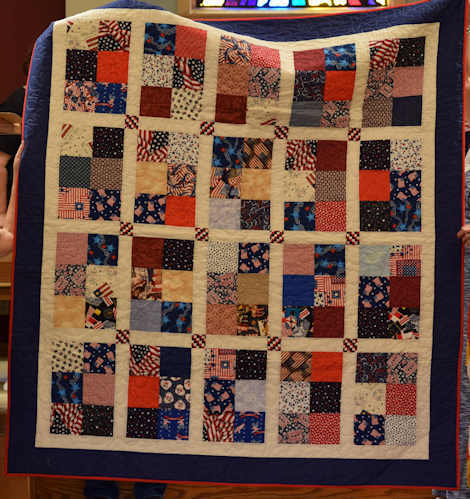 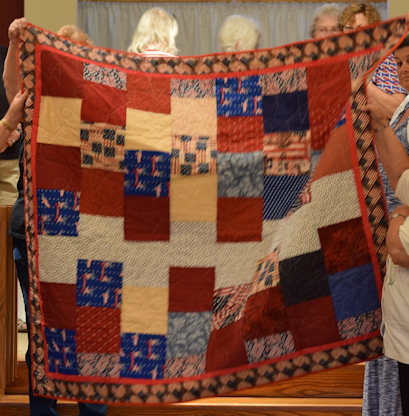 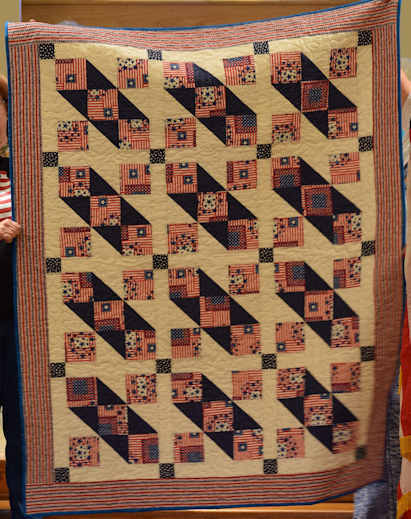 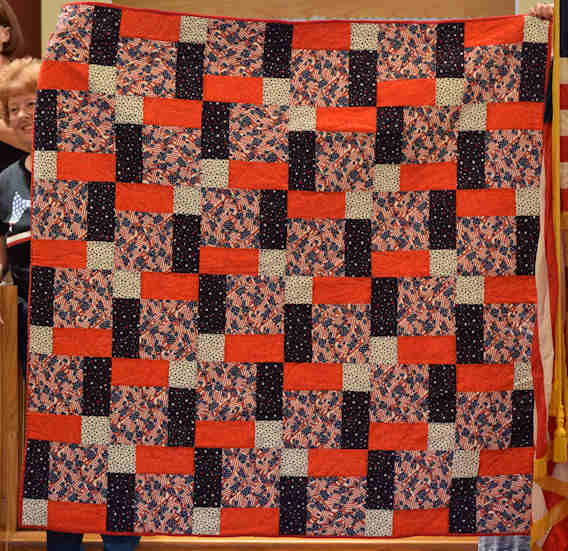 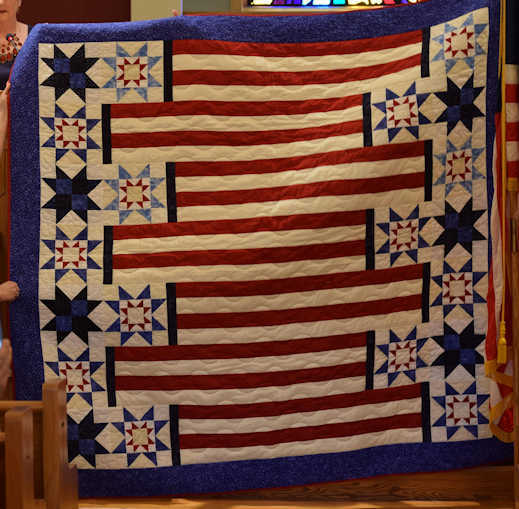 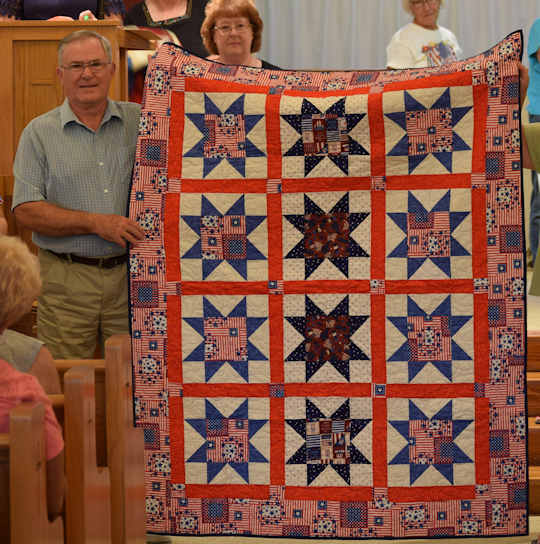 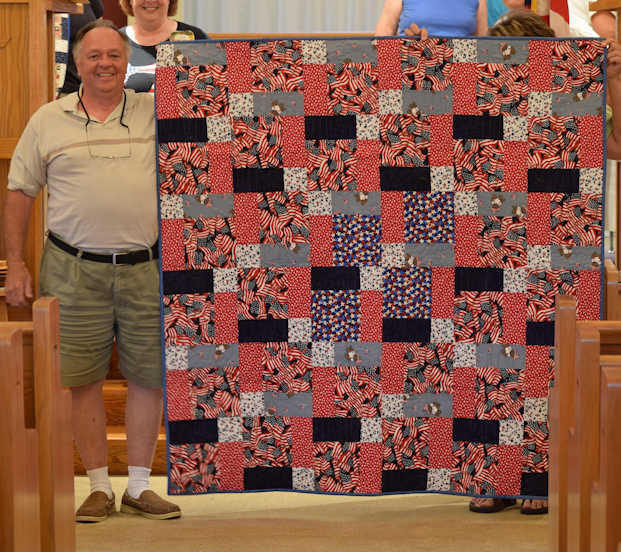 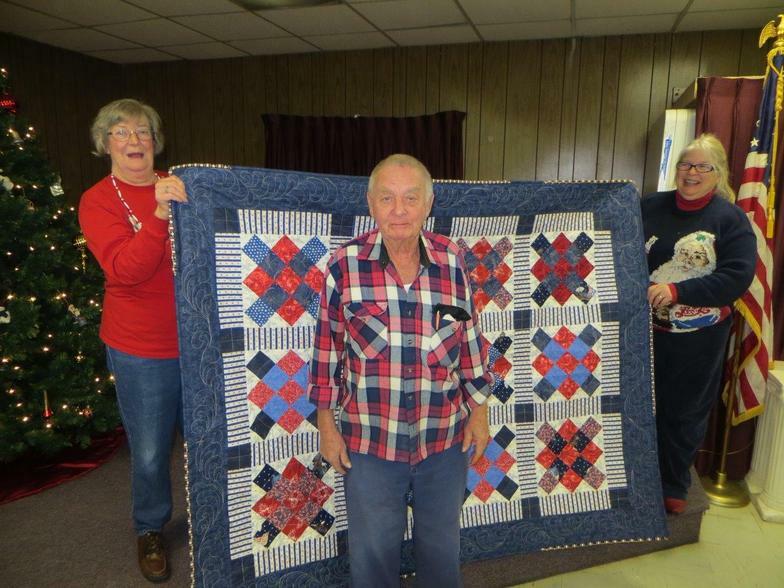 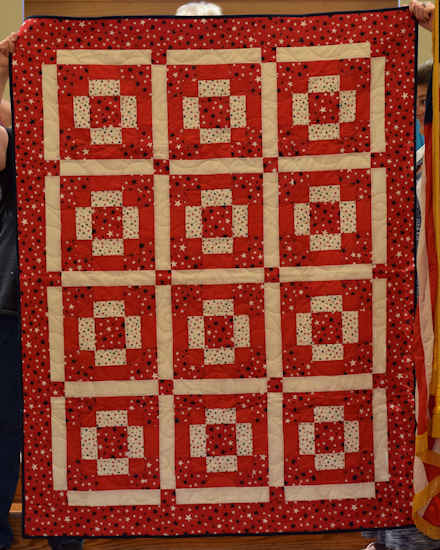 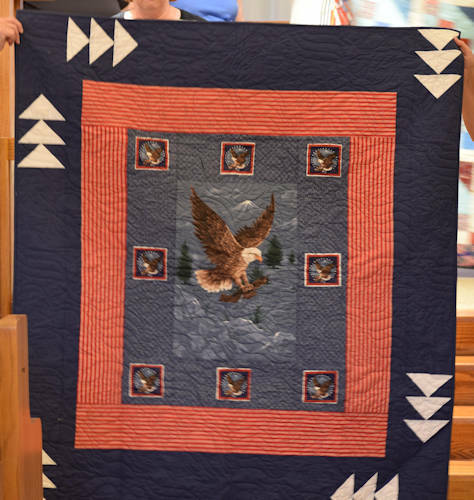 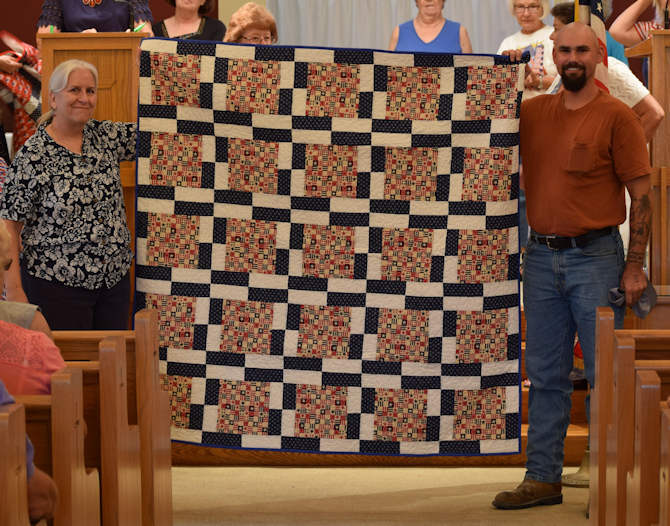 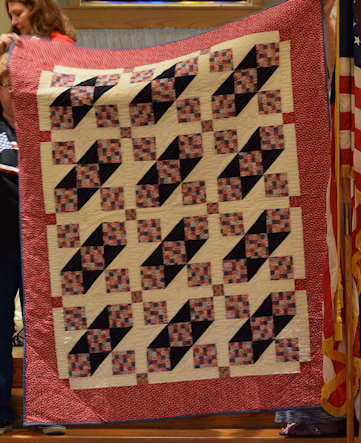 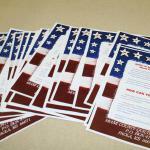 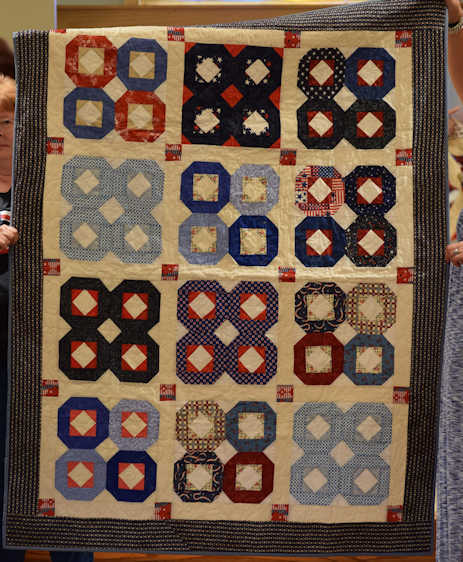 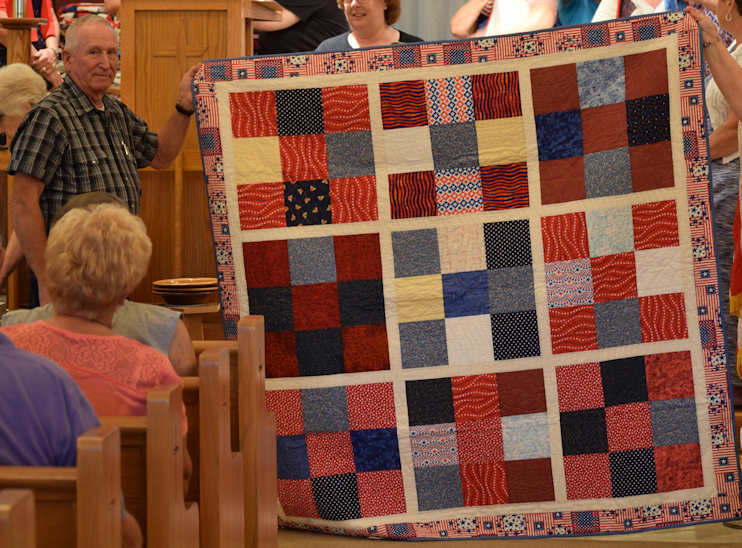 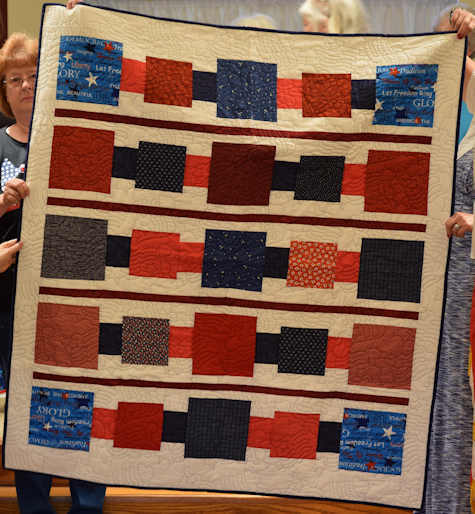 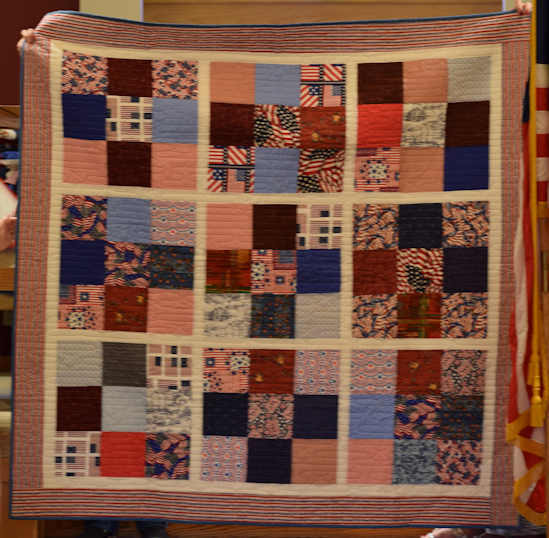 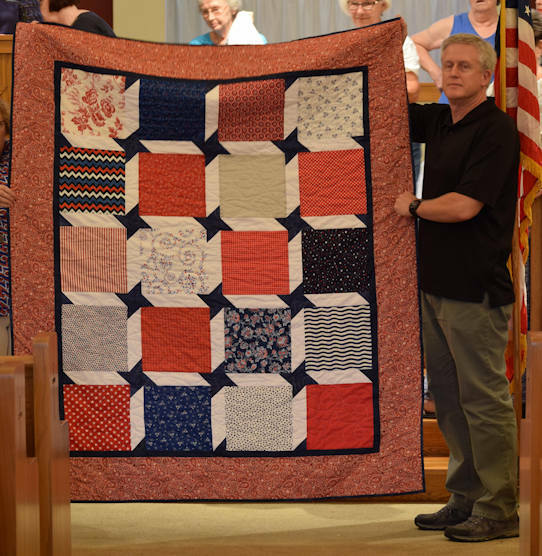 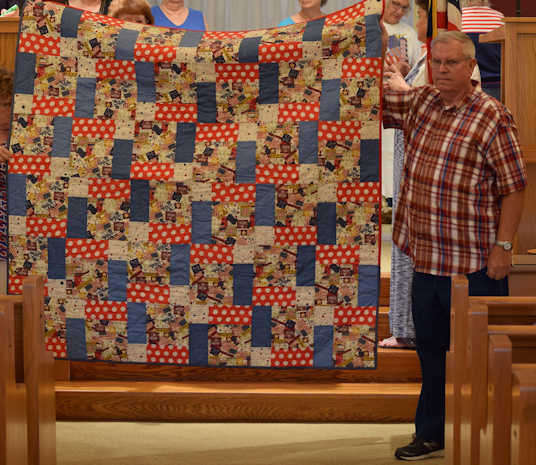 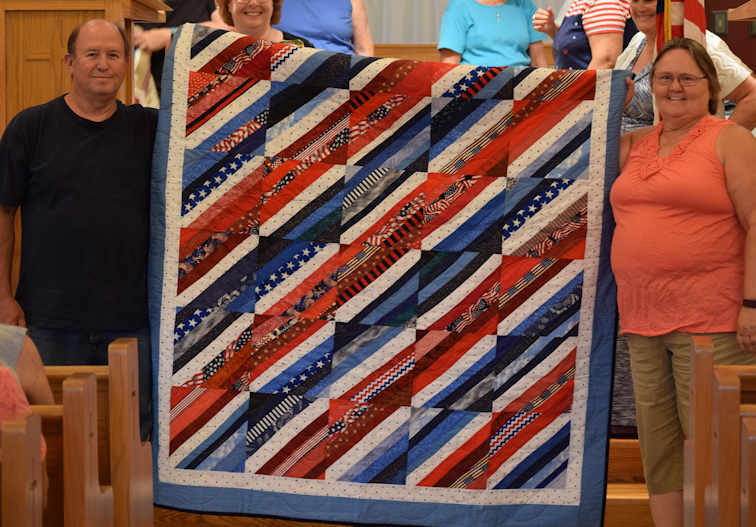 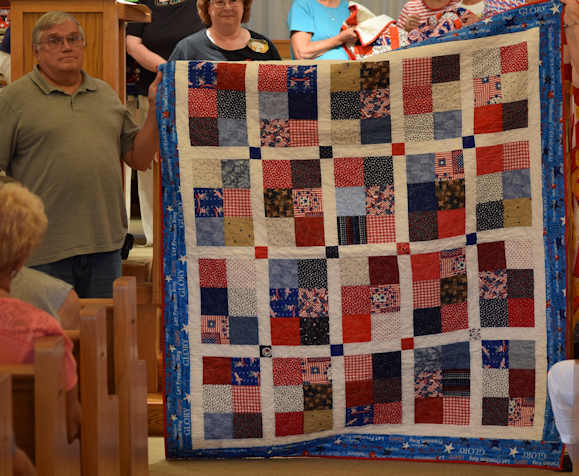 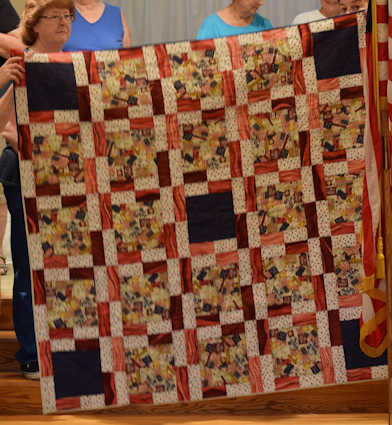 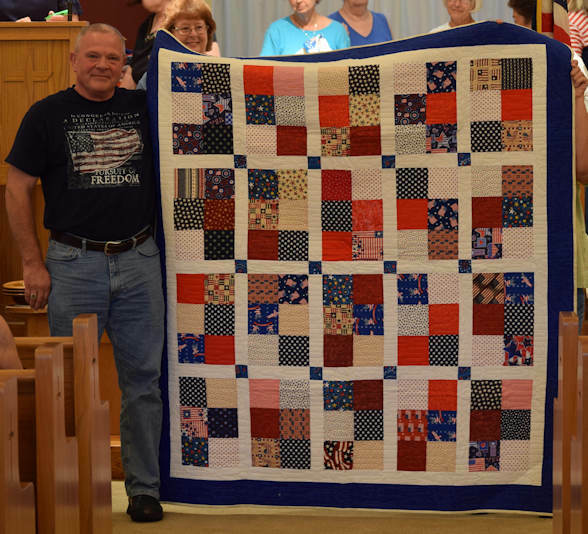 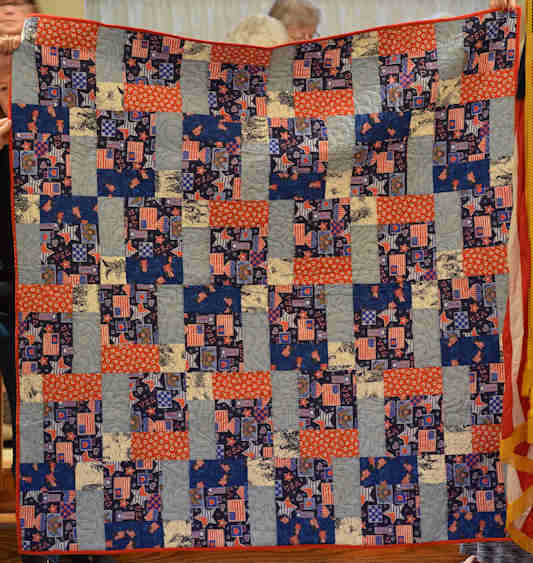 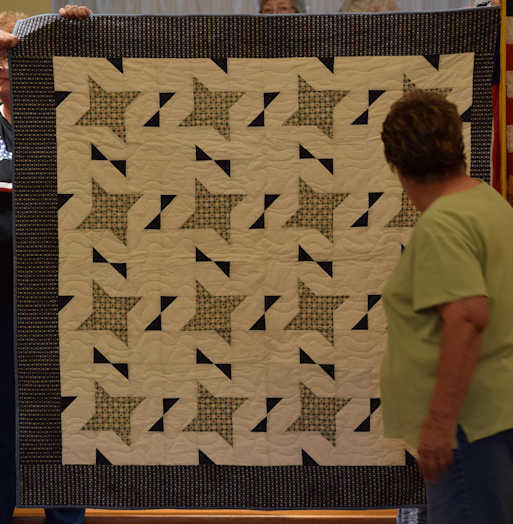 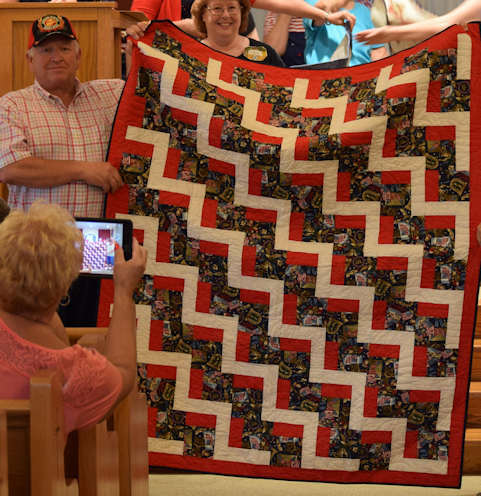 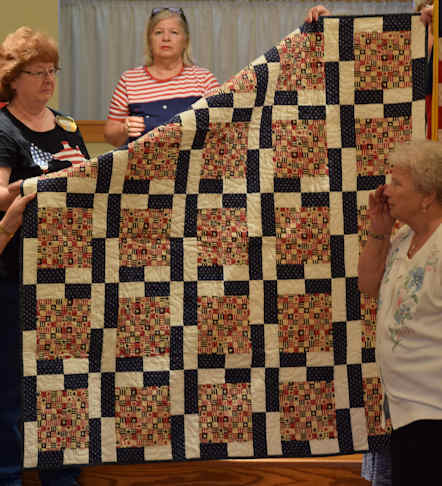 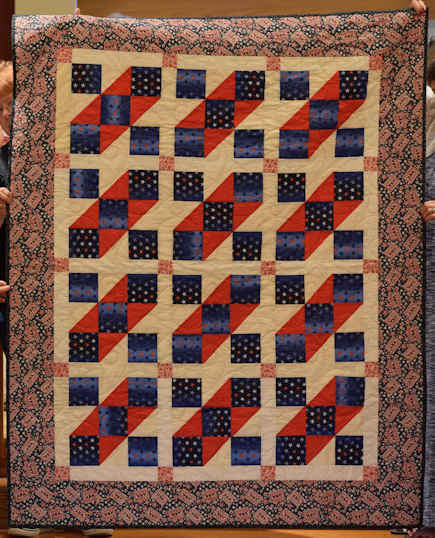 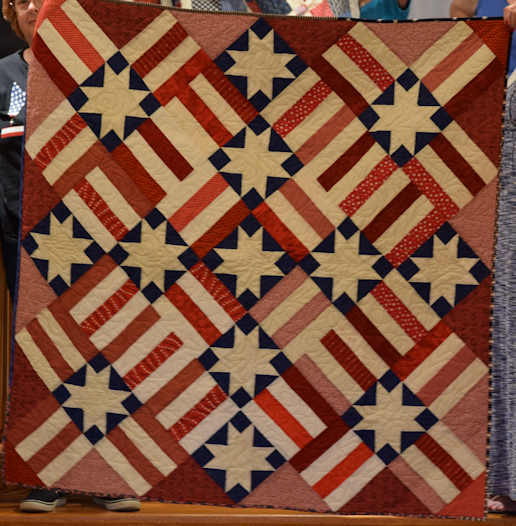 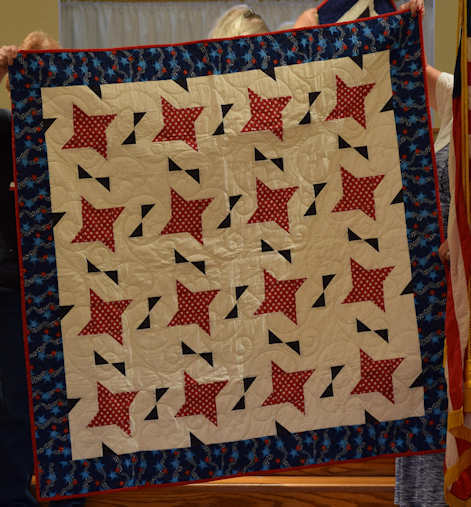 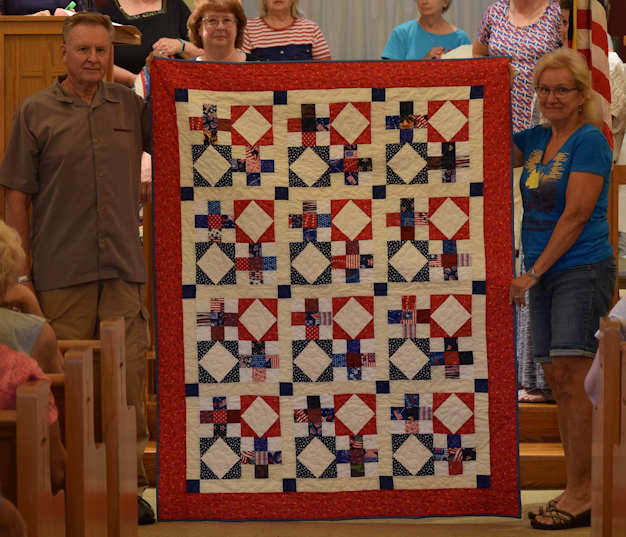 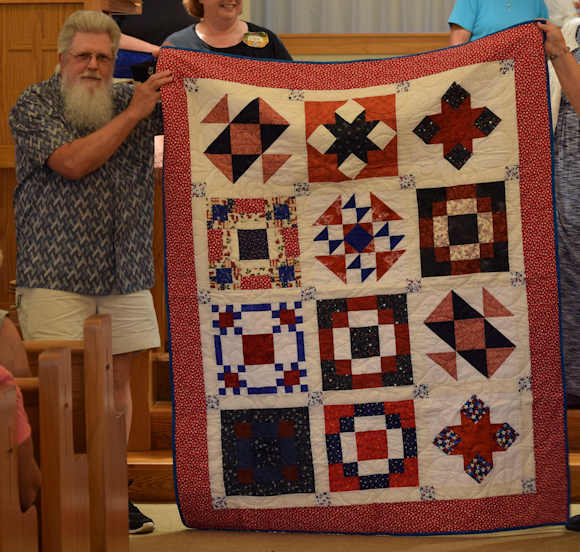 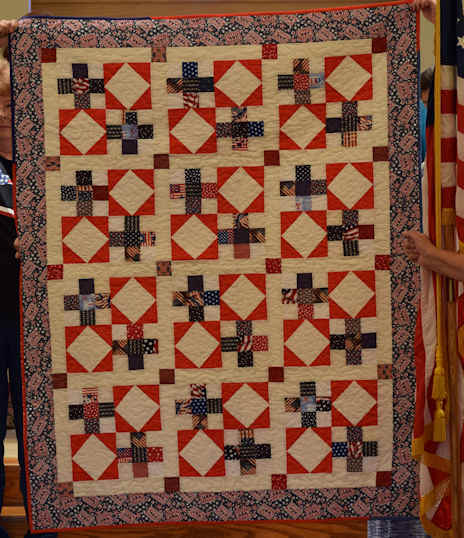 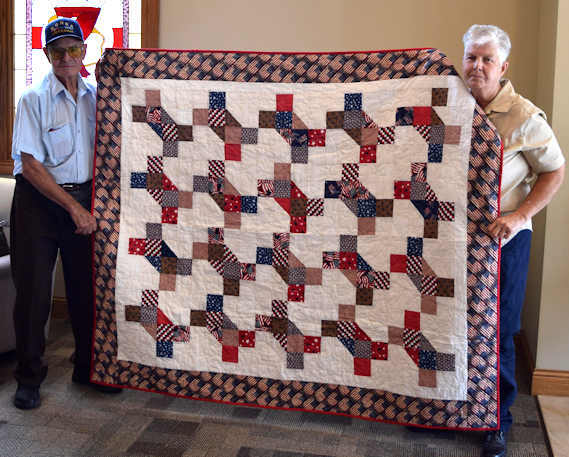 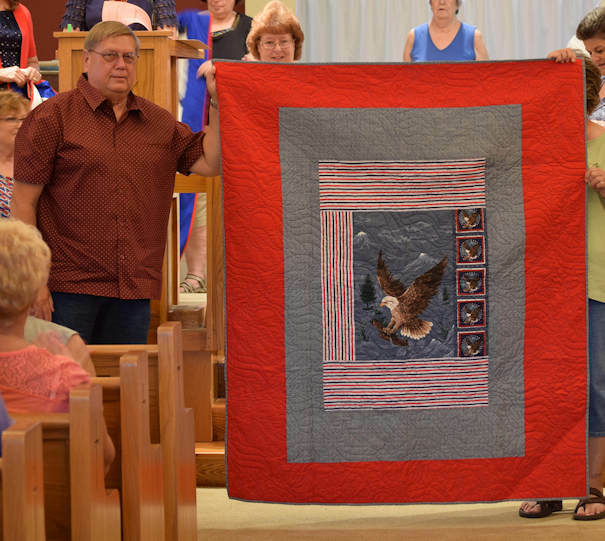 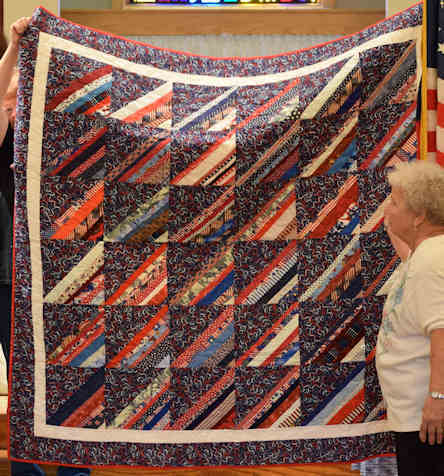 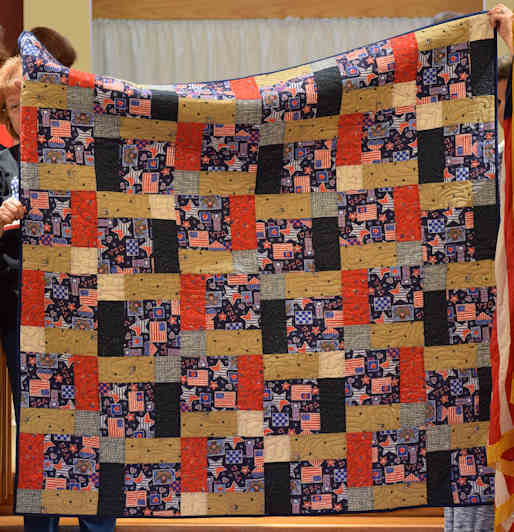 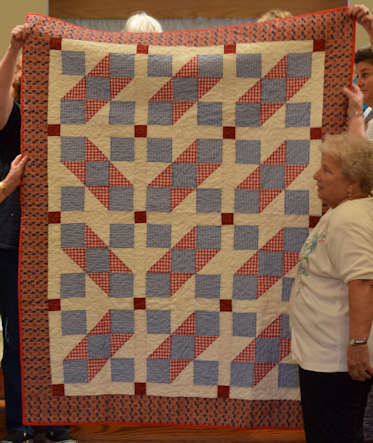 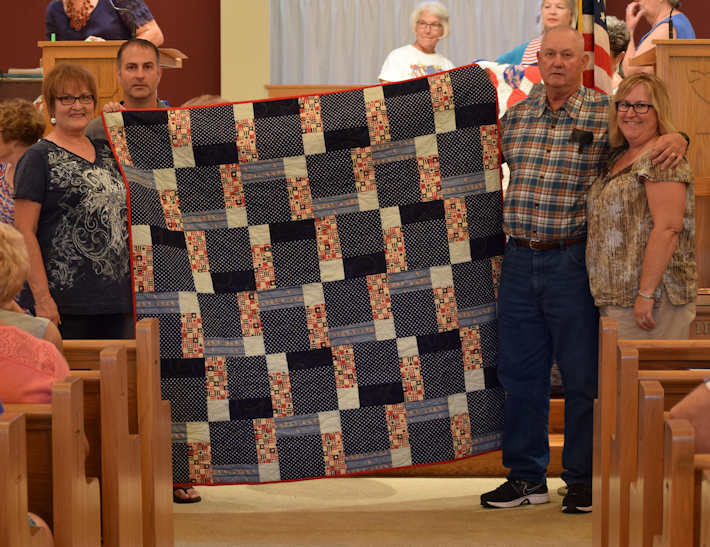 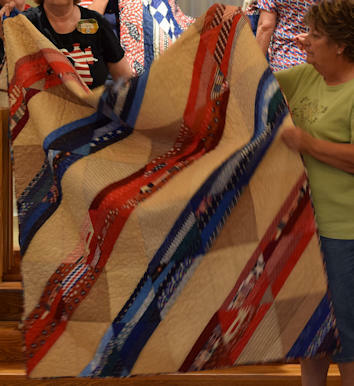 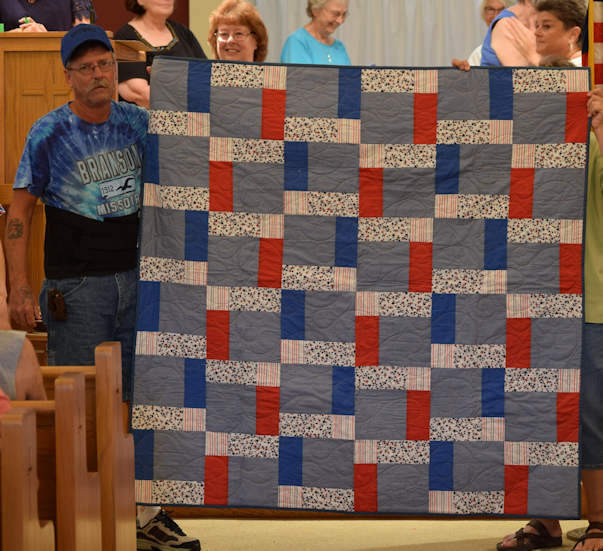 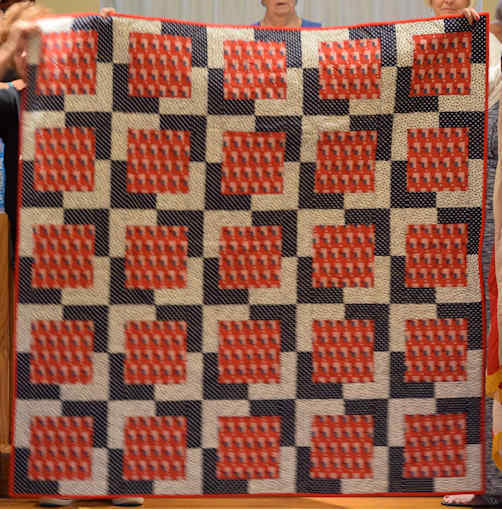 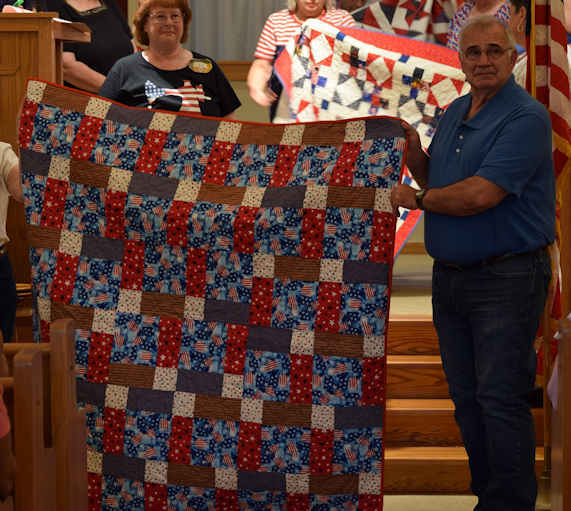 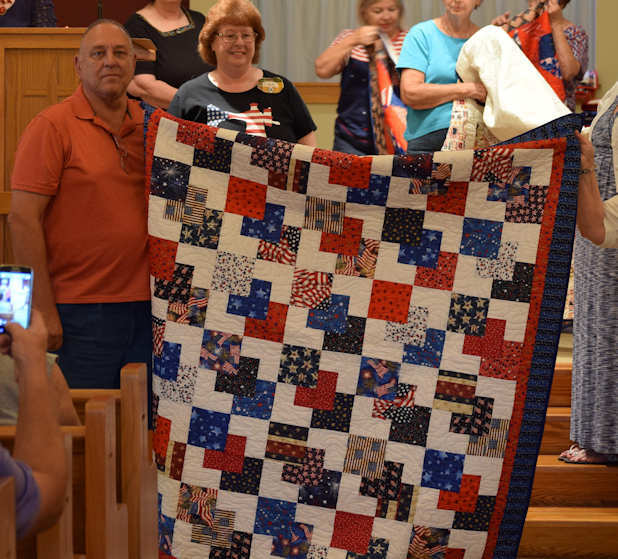 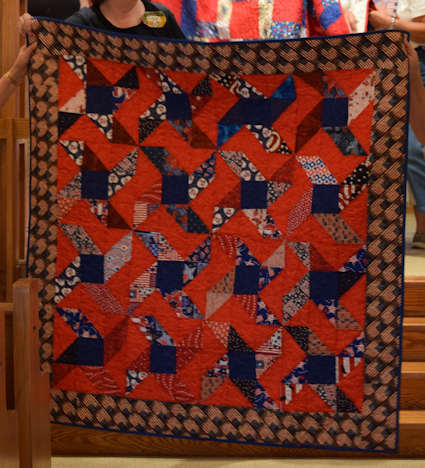 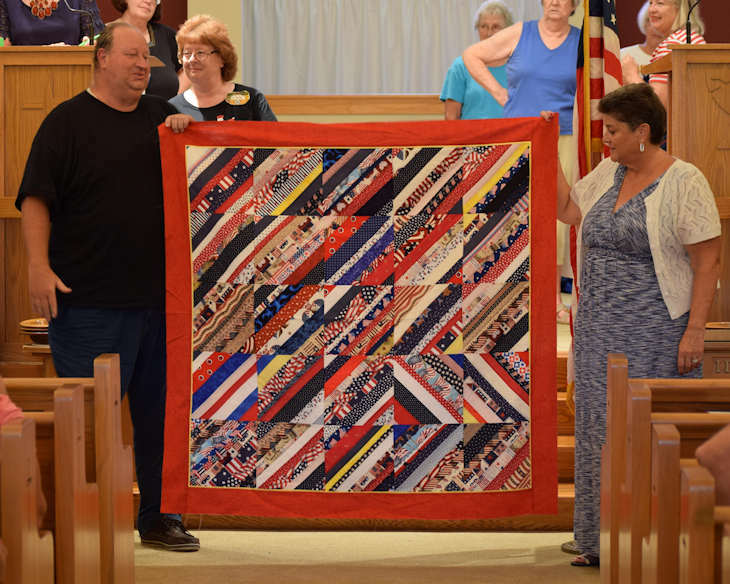 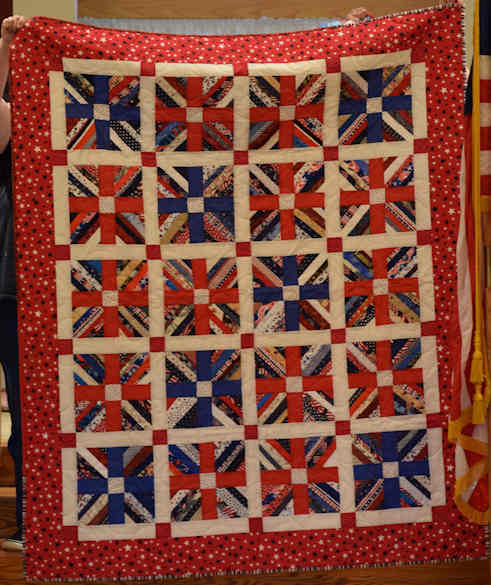 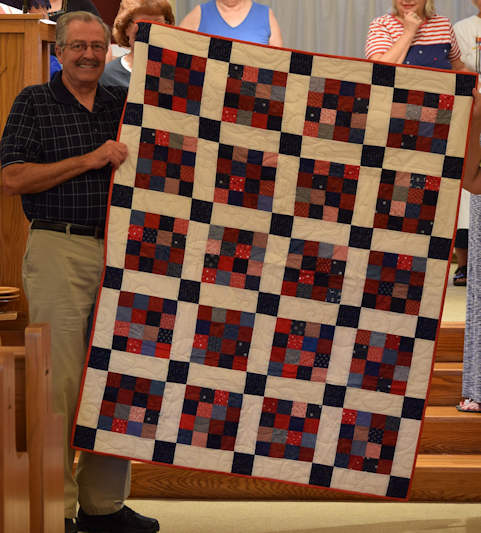 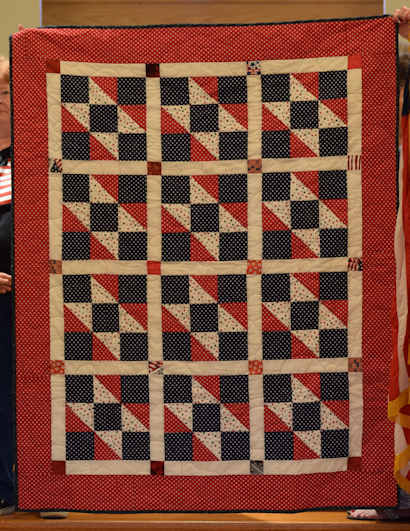 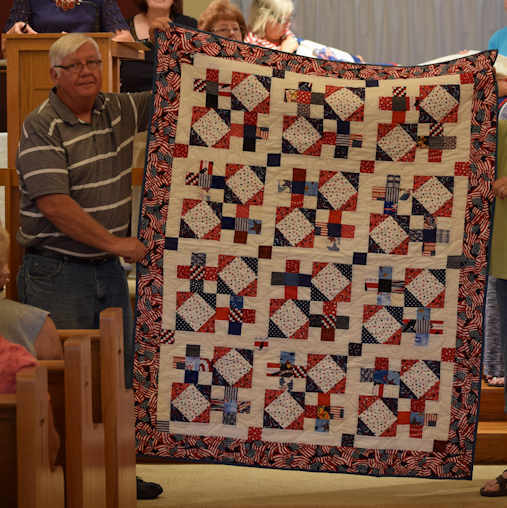 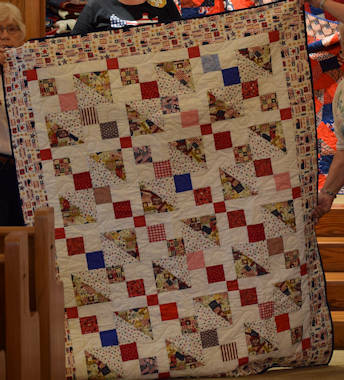 Miami County Quilt Guild will provide a Veteran's Quilt to each Veteran upon the receipt of their tiny house. 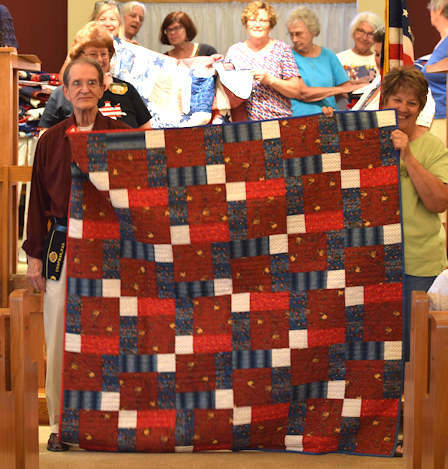 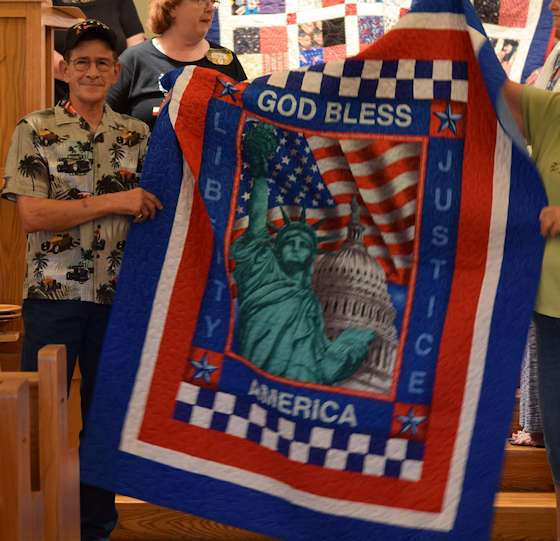 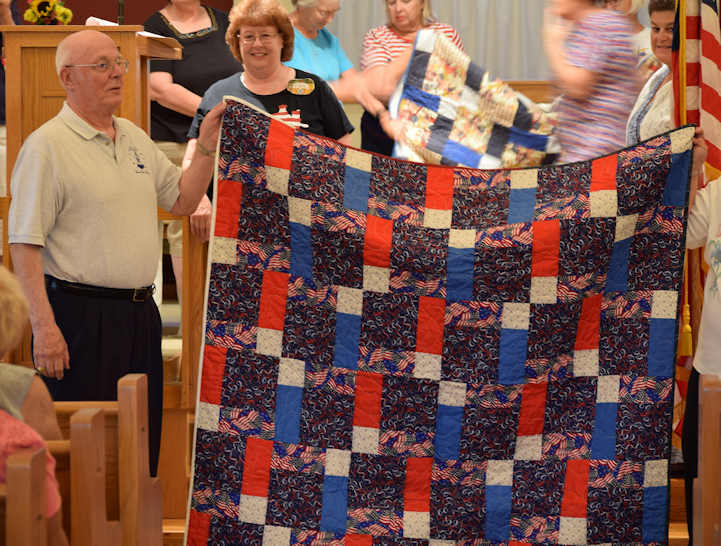 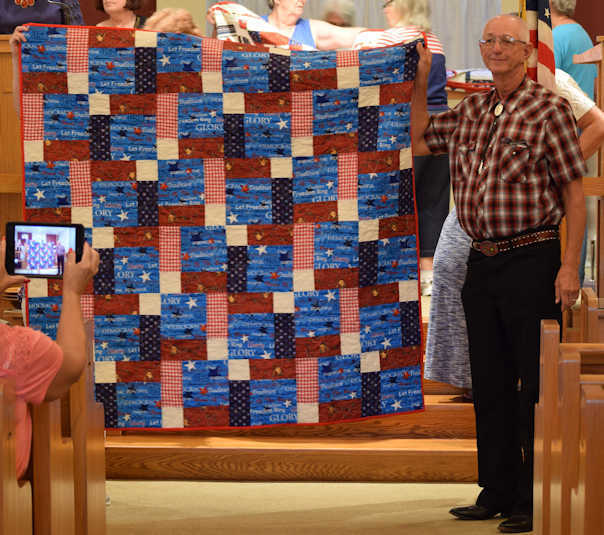 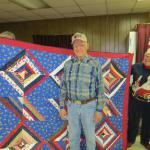 The quilts will belong to the Veteran and will be theirs to take with them when they move.